Posts Tagged With: BKWFarms Inc. 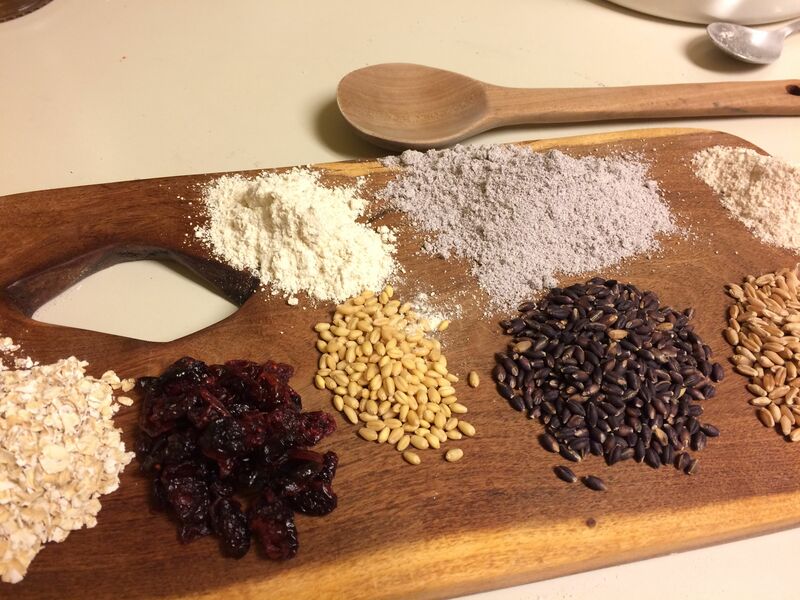 Happy Valentine’s expressed with the happiest of ingredients–heirloom purple barley, white Sonora wheat, organic hard red wheat and mesquite! 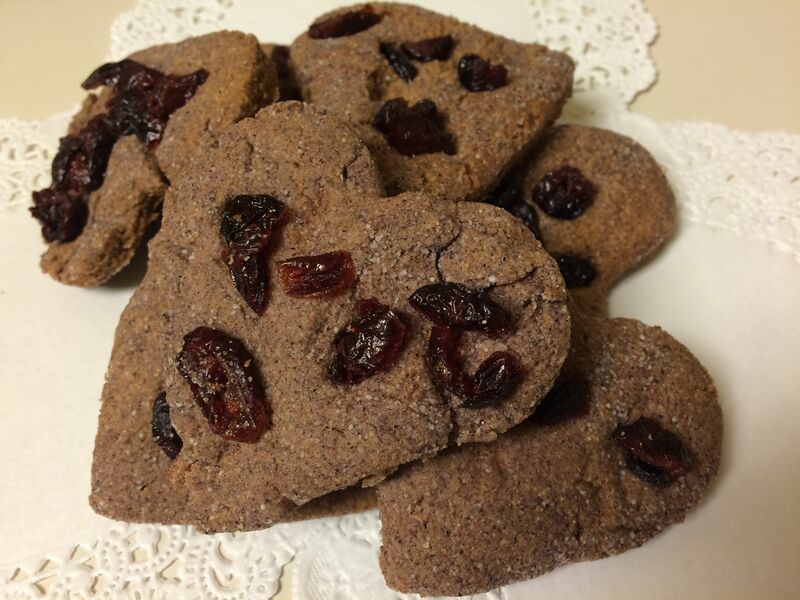 Tia Marta here to share some fun recipes fit for a happy Valentine’s Day or beyond–made with heirloom grains including barley–one recipe with whole-kernel grain, one with milled whole grain flour. These amazing grains are some of the reasons Tucson is now an International City of Gastronomy! 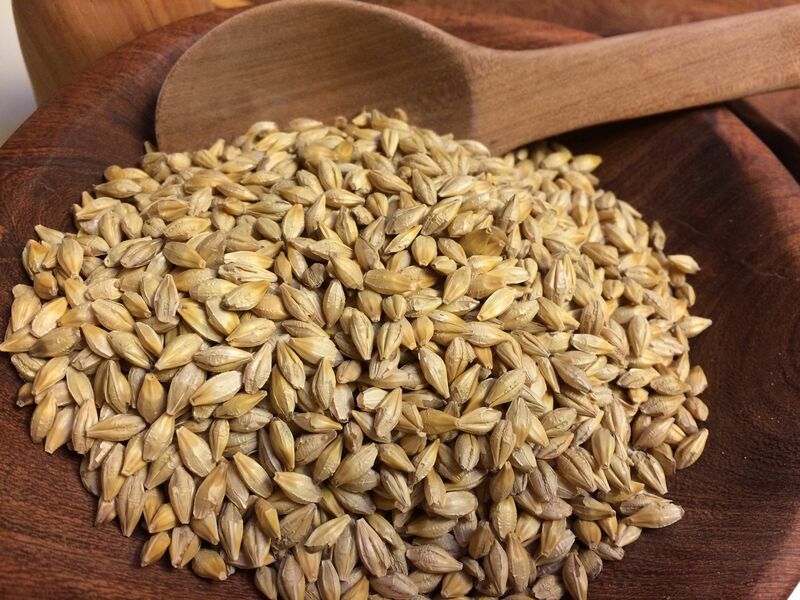 It seems very few people in recent times know much about barley except perhaps as an ingredient in grape-nuts cereal or Campbell’s Scotch Broth. 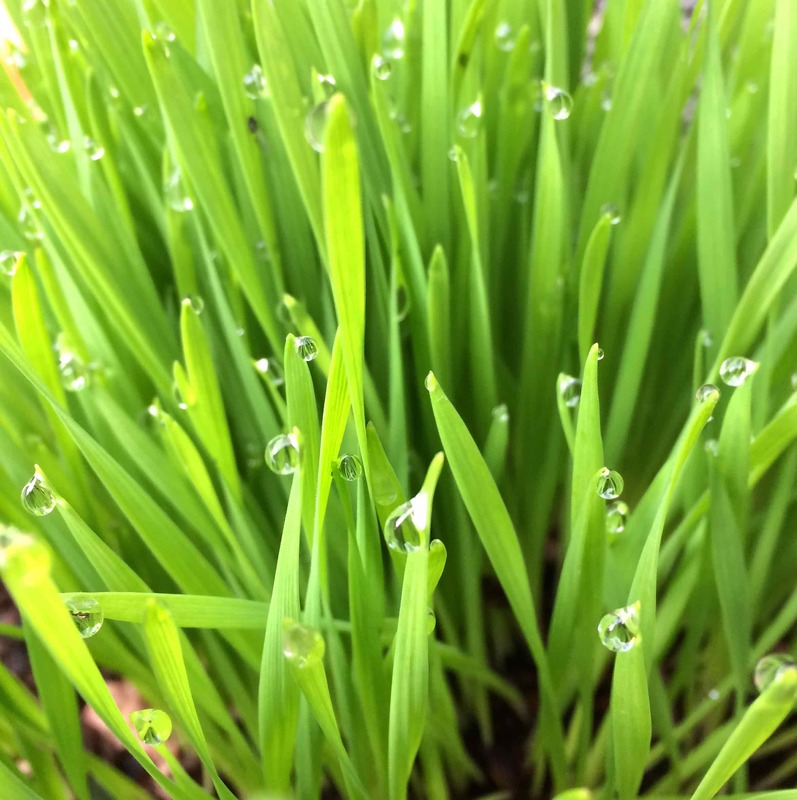 When you look into the nutrition of barley you find that it has the lowest glycemic index of all the grains, that is, it is the best of all for keeping blood-sugar in balance, especially when used in whole kernel form, either cooked whole, or milled from whole kernels. 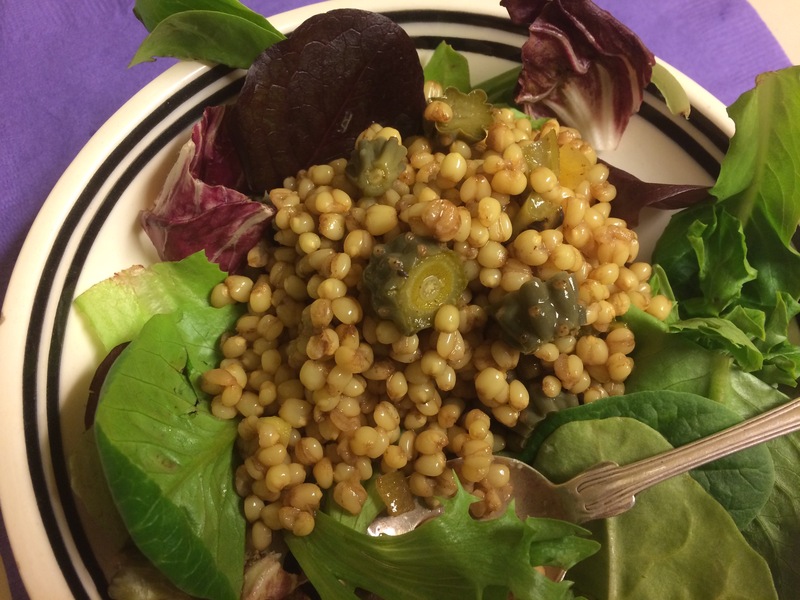 There is an ancient barley now being grown in Arizona that has a delicious flavor, colorful nature, antioxidant properties, and versatility which have captivated me. It hails originally from Tibet (some say by way of the Nile) and is known as Purple Prairie Barley. 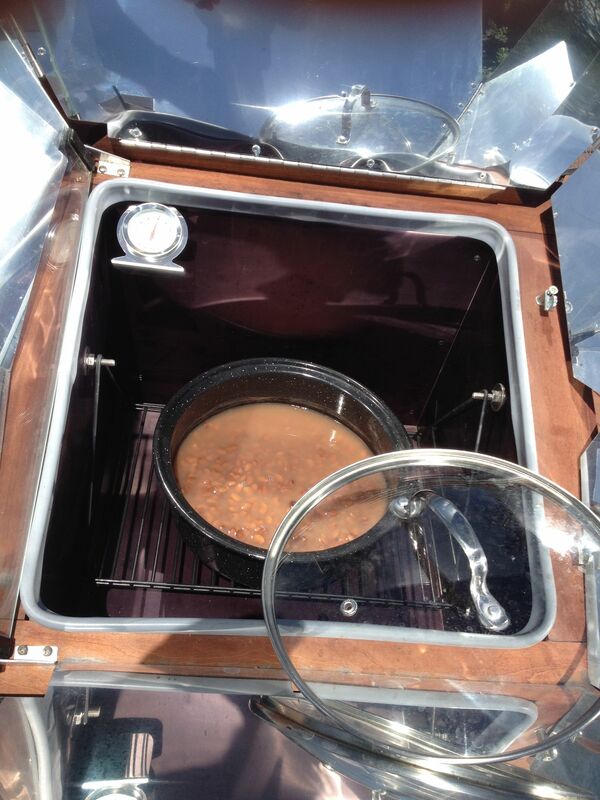 Keep the faith while cooking whole kernel purple prairie barley–Let the grains re-absorb all the liquid, water:grain ratio is 4:1. 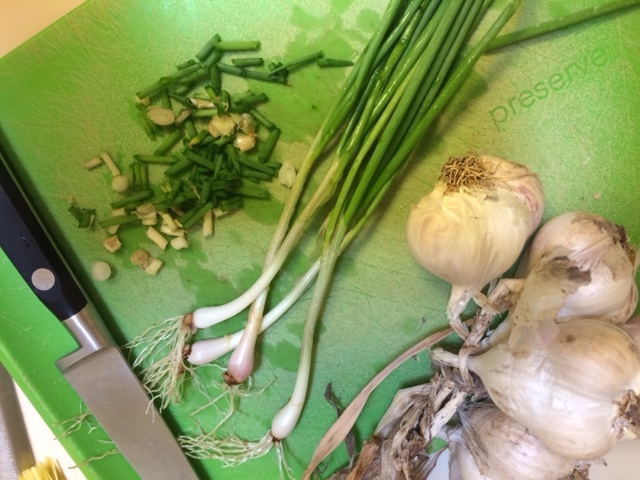 Basic cooking for whole Purple Prairie Barley is super-simple. It just takes a little time. Once you have them cooked you can freeze them for future culinary creativity. 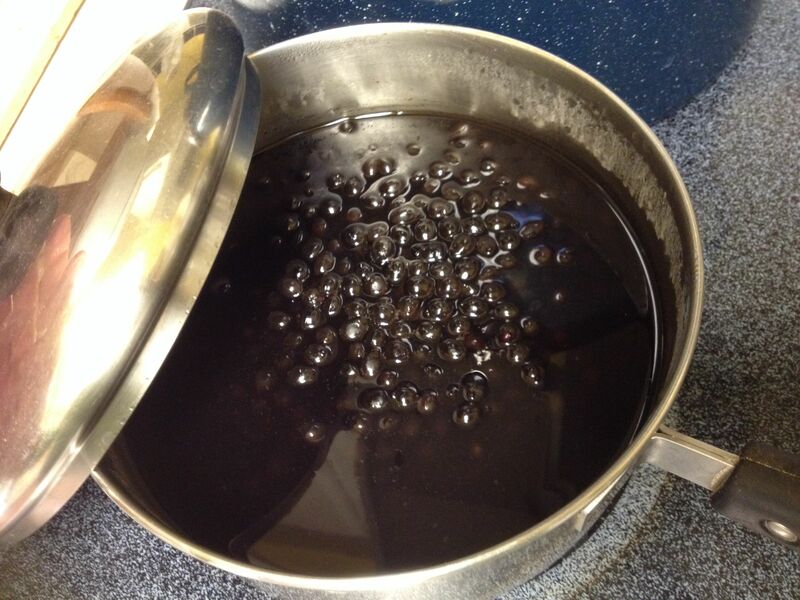 Stove-top method: bring to boil 4 cups drinking water and 1 cup whole grain barley, and simmer until ALL the purple liquid is absorbed. 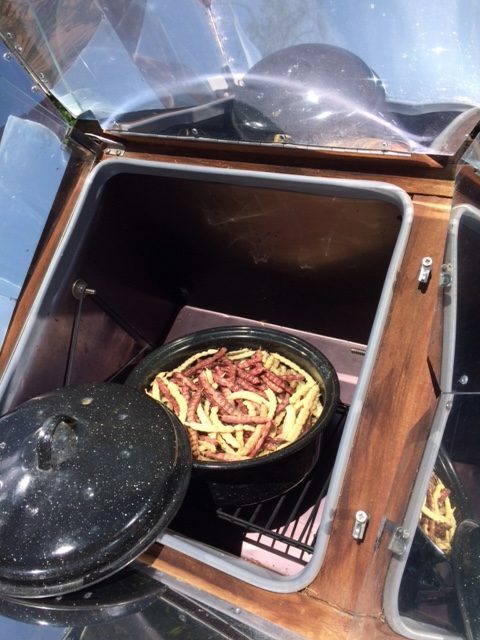 In a crockpot, the same process may take 3-5 hours–no watching necessary. 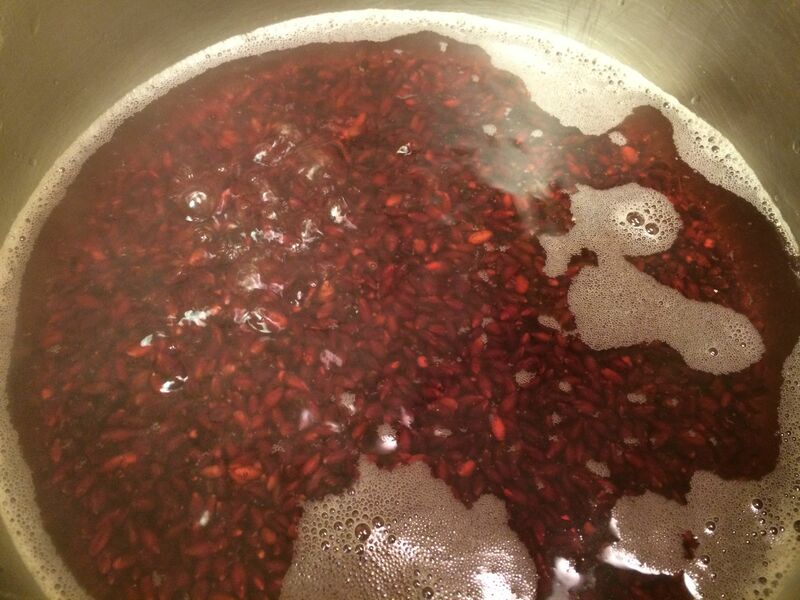 The glorious purple liquid which rises in the cooking water is chucky-jam-full of anthocyanins, those wondrous antioxidants, so don’t let a drop get away! 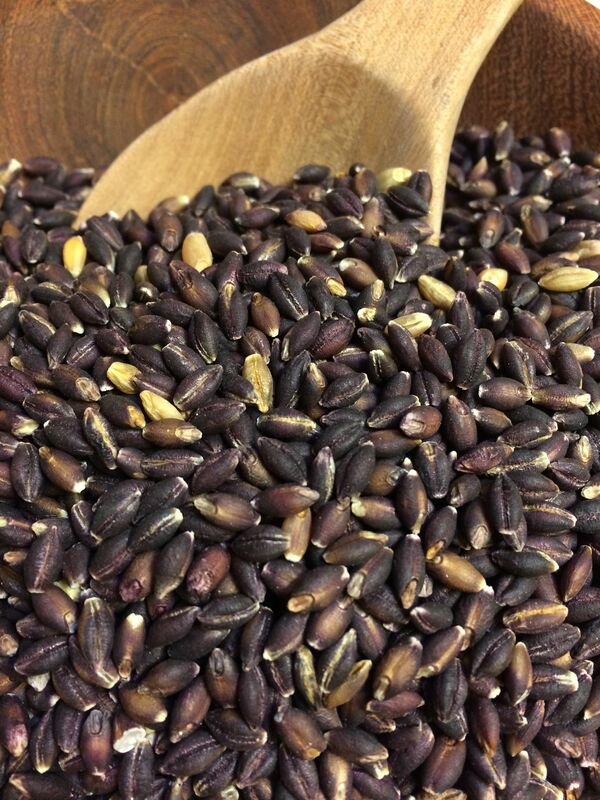 When fully cooked, purple prairie barley is plump, almost round, and still retains its lovely color. 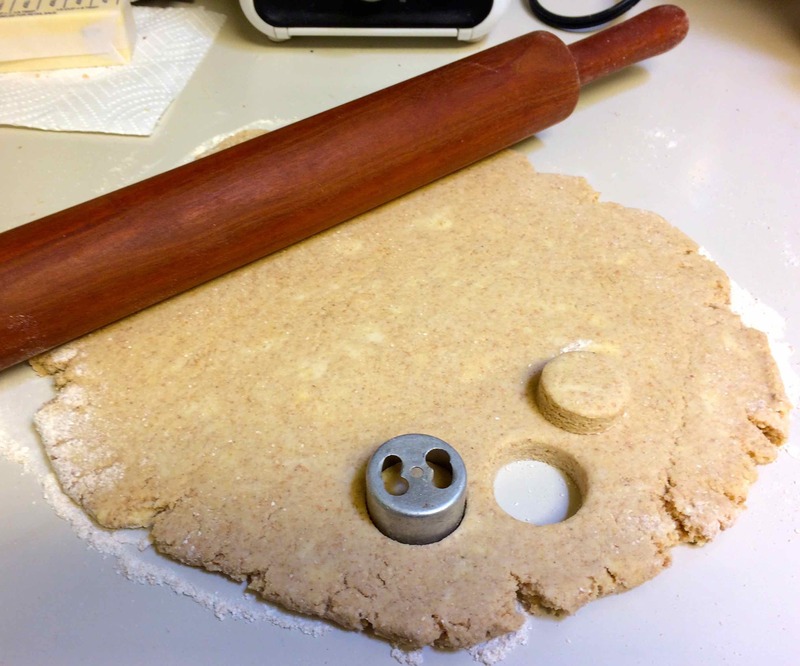 This cookie recipe is really easy–two bowls, sifter, rolling pin or bottle, teaspoon measure, and only one half-cup measuring cup are needed. Directions: Preheat oven to 375degreesF. Sift all dry ingredients into one bowl. In a separate bowl, cream butter and sugar; stir in vanilla; beat in eggs. 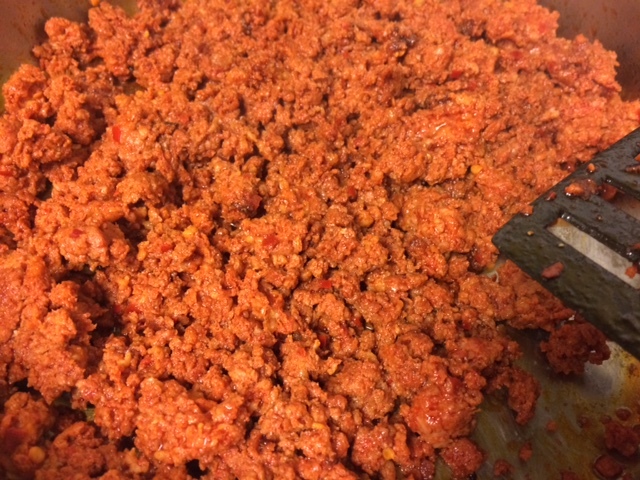 Add dry ingredients into wet mixture, mixing thoroughly. 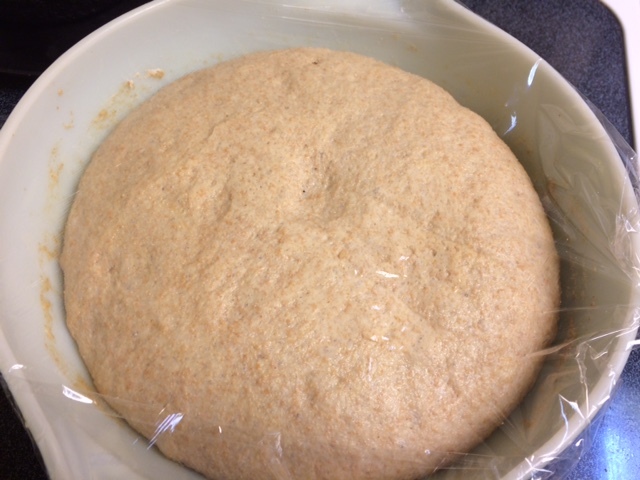 Pat dough out on a board heavily dusted with more barley flour. 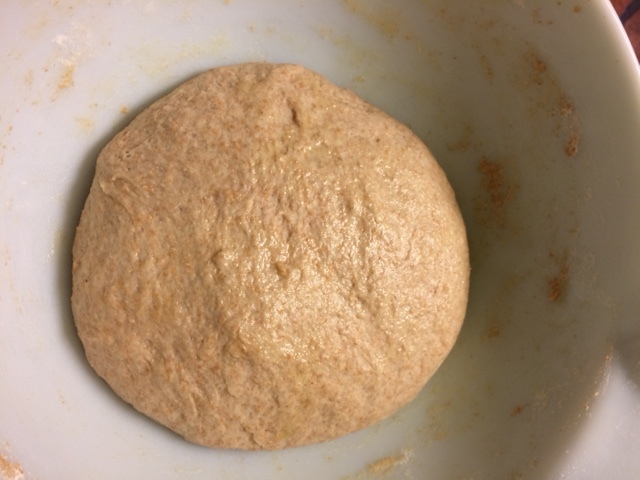 Roll dough to a ca. 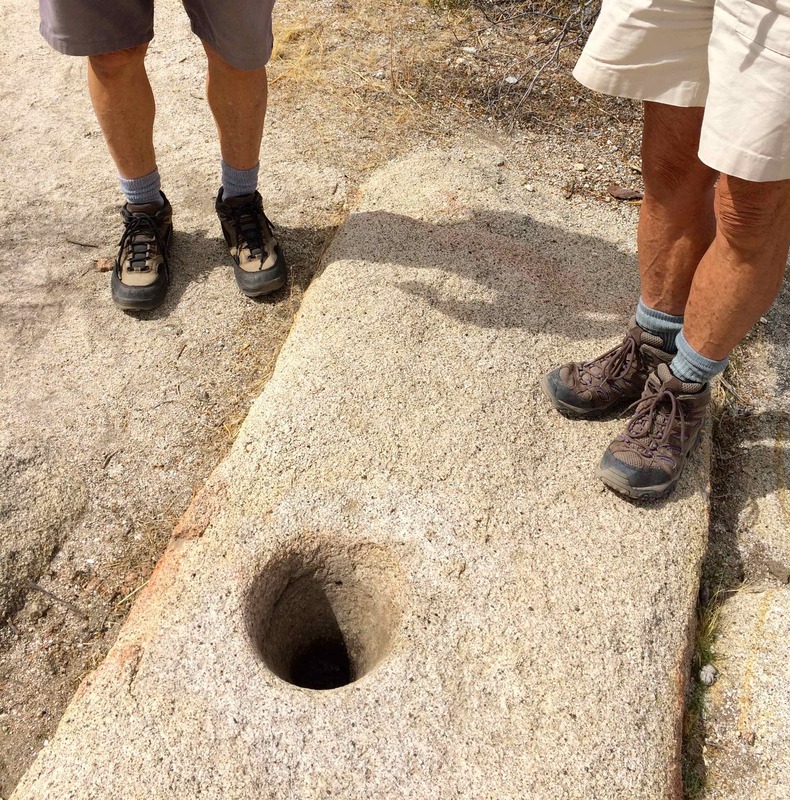 3/8 inch thickness–(consistent thickness is more important than an exact measure.) 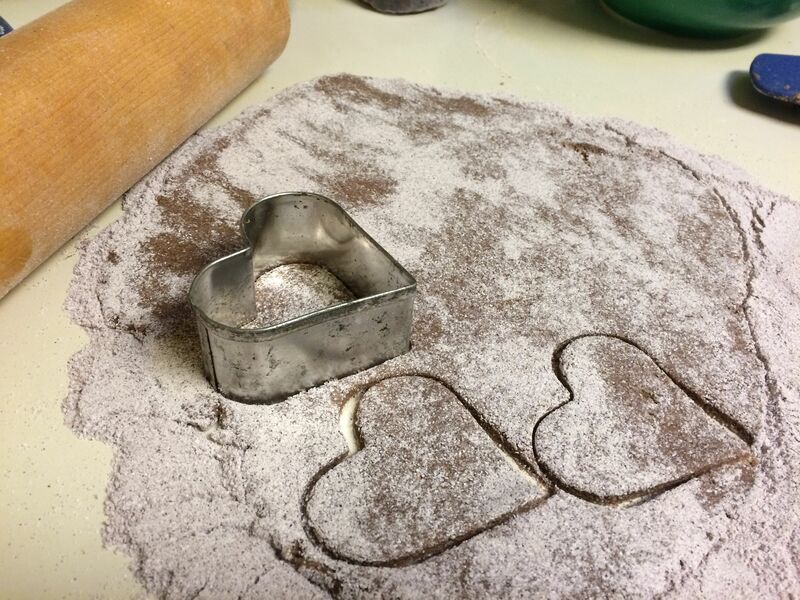 Cookie-cutter your favorite shapes out of the rolled dough and place on ungreased cookie sheet. Bake 8-10 minutes or until barely browning. 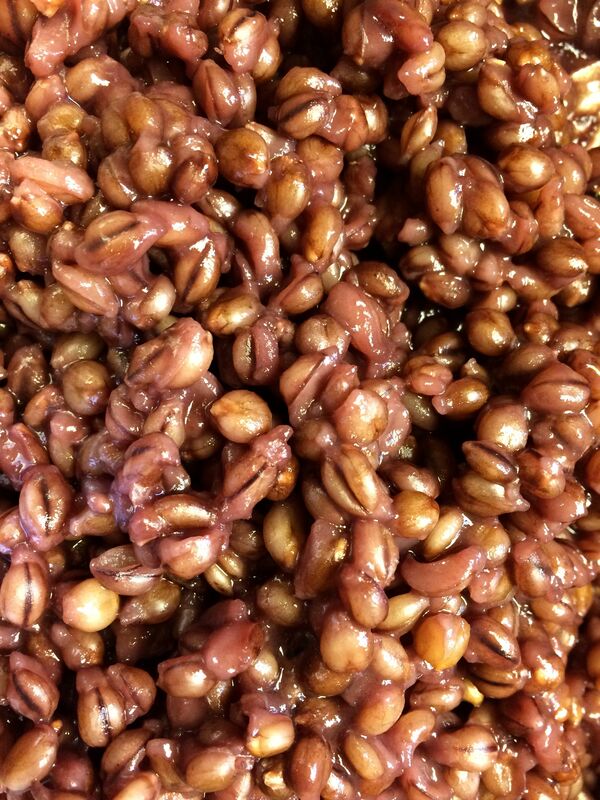 Crunchily enjoy the pinkness of your purple barley cookies! 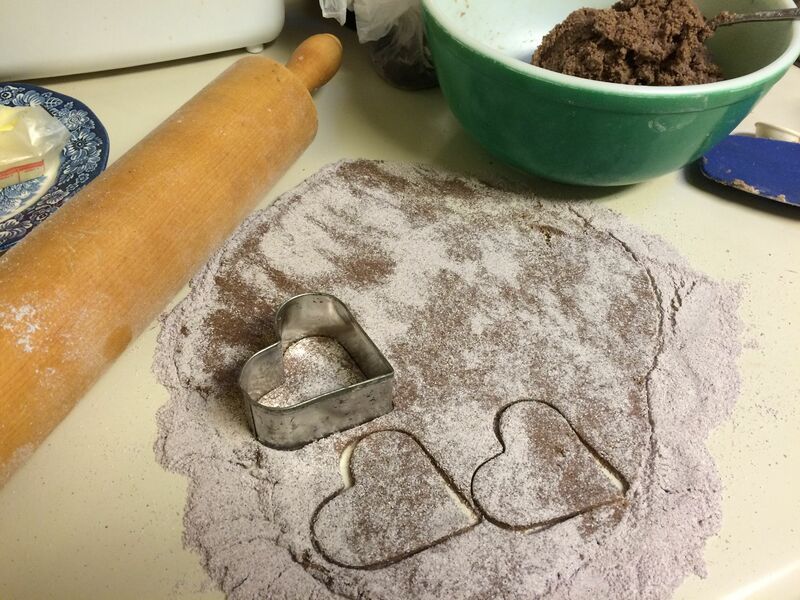 Purple barley Valentine cookies with cranberry decoration– a pinky-purple hue, yummy flavor & crunch! You can make delightful variations on these Purple Barley Cookies by substituting the above ingredients in an oatmeal cookie recipe or in a Scottish shortbread recipe. For a savory dish, try your cooked whole-grain purple barley in a delicious pilaf prepared in a way similar to a quinoa or rice pilaf. Stir-fry an assortment of 2-3 cups of your favorite veggies in olive oil (try any chopped heirloom squash, scallions, carrots, colorful sweet peppers, mushrooms, kohlrabi, etc from local farmers’ markets). 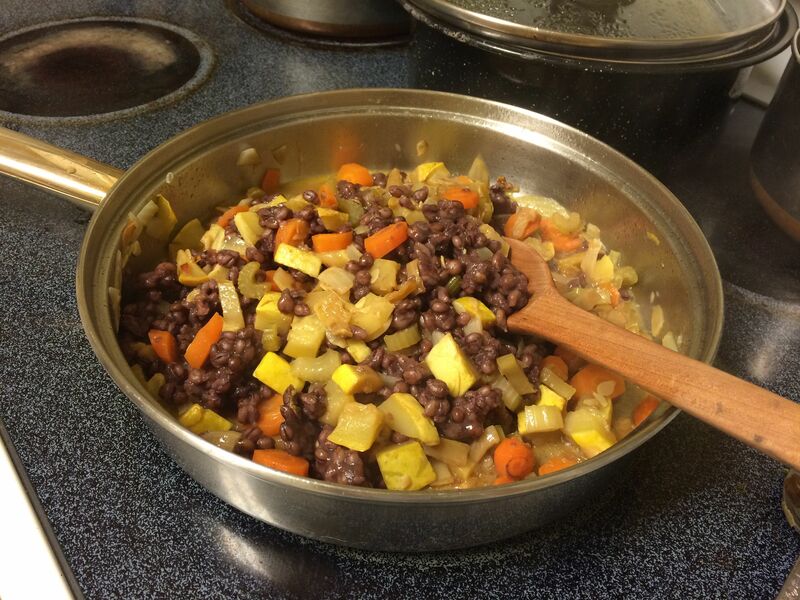 Finish the stir-fry adding 1 cup of cooked purple prairie barley. Season to taste with Asian sauce, spike or Cavender’s. 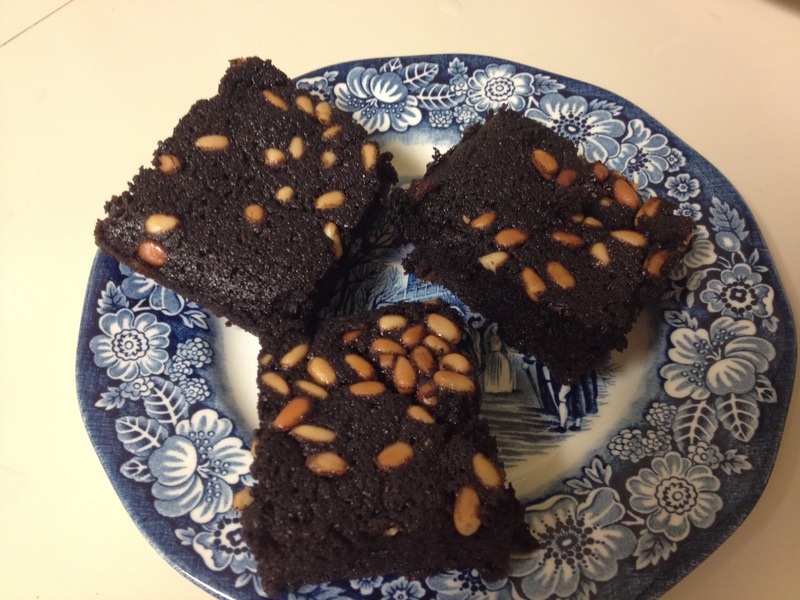 Pine nuts or cashews might add another flavor dimension. 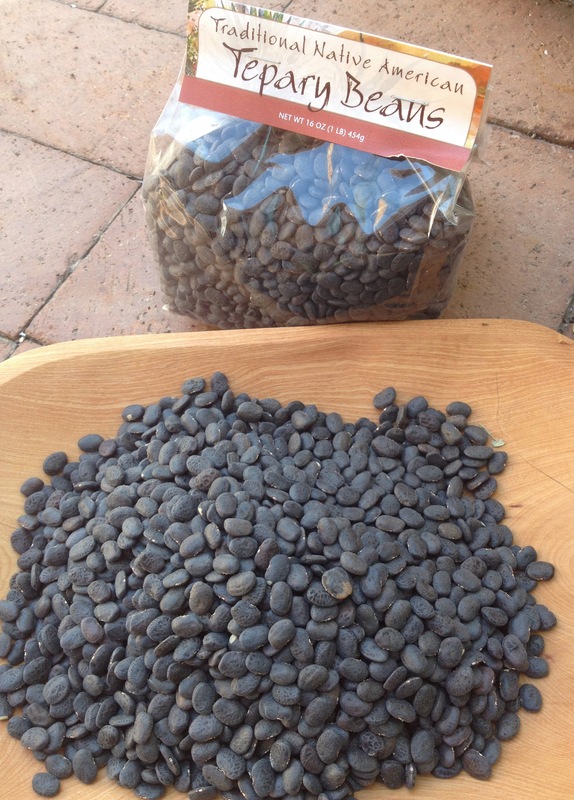 Packaged rare Magdalena Barley seed grown at Mission Garden–our own local treasure. 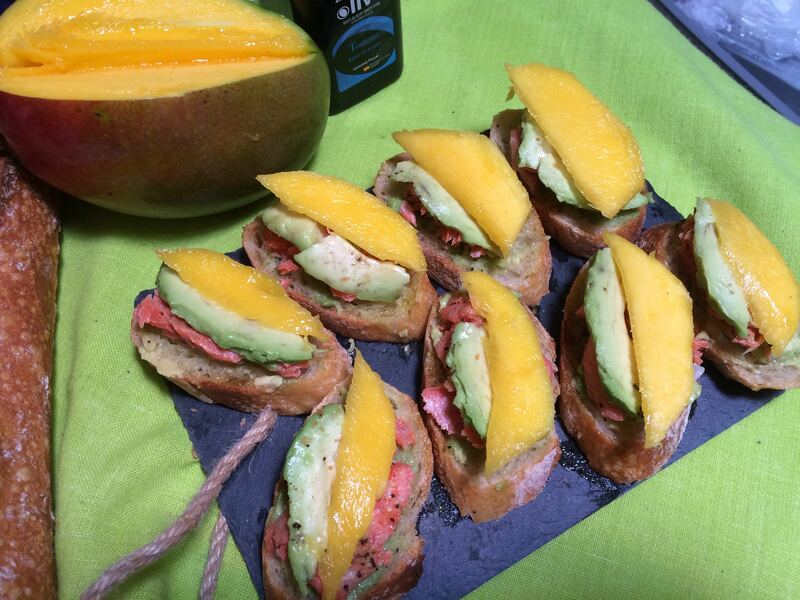 Want to find these heirlooms for cooking or to grow them? Here are some local sources of whole-kernel grains–also, where you can get them freshly milled if you don’t have your own grinder. 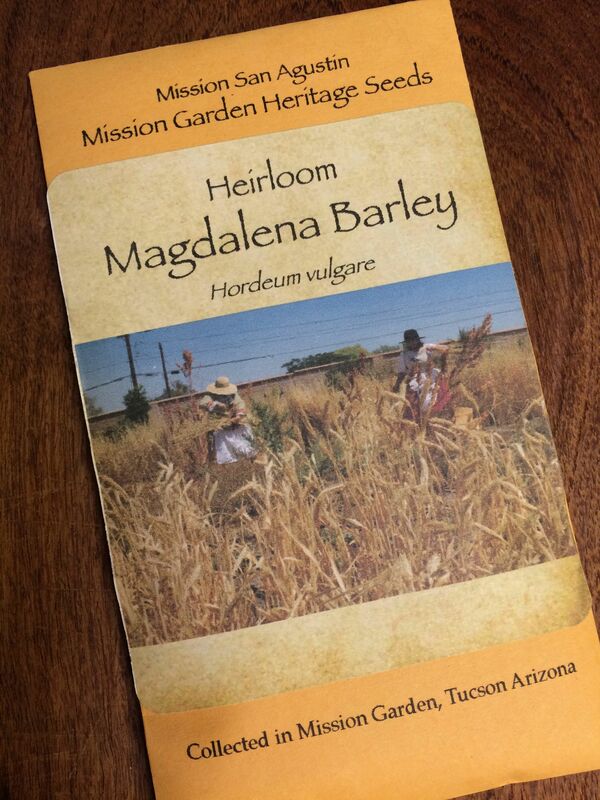 Find several of these grains growing at the Friends of Tucson’s Birthplace’s Mission Garden living history gardens, open every Saturday for tours. 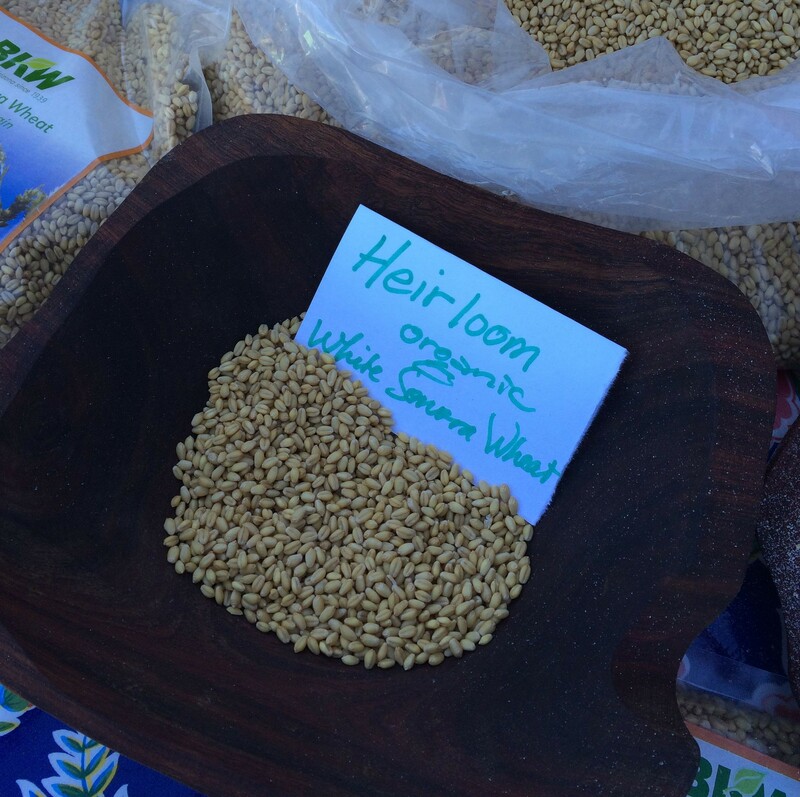 Hayden Flour Mills’ heirloom Purple Prairie Barley is now available at our Flor de Mayo booth at Sunday’s St.Philips Farmers’ Market in various size packets ready to cook or mill. 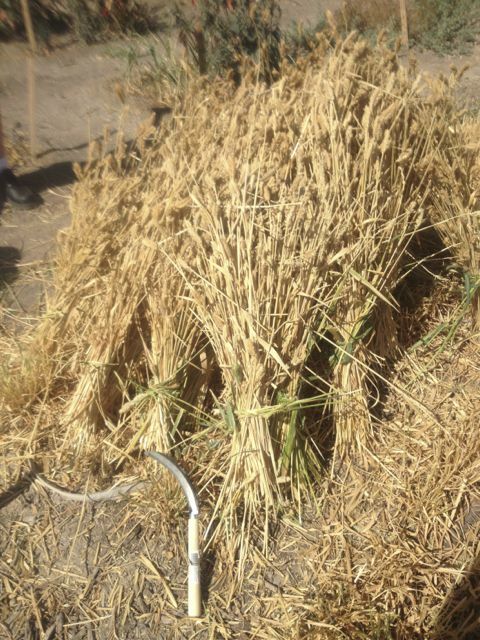 The Wong family at BKWFarms Inc., now in their fifth generation of local farming in Marana, are the organic growers of Padre Kino’s heirloom White Sonora Wheat which NativeSeeds/SEARCH helped to resurrect from near-loss. 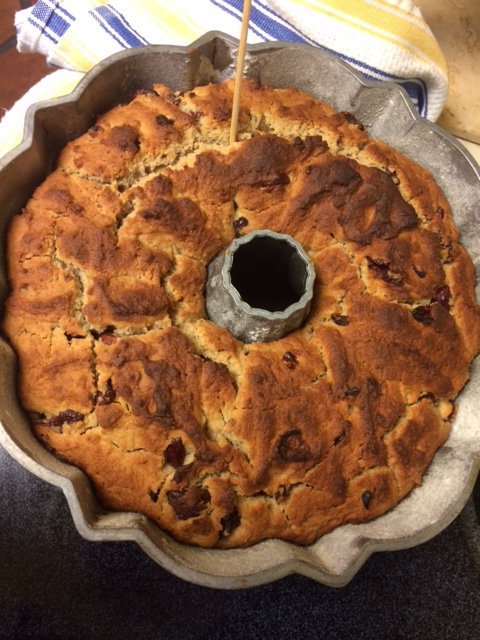 BKWFarms also produces organic hard red wheat-berries, which make a rich, higher gluten flour perfect for breads and cakes, and which I quite successfully used in the Valentine cookie recipe above. 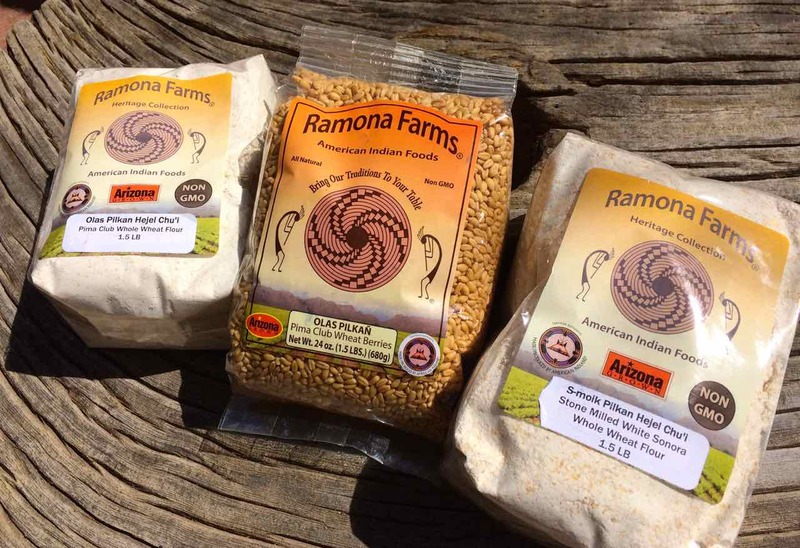 Other heirloom wheat-berries grown by Ramona Farms and San Xavier Coop Association are available at the NativeSeeds/SEARCH store, 3061 N.Campbell Ave, Tucson. 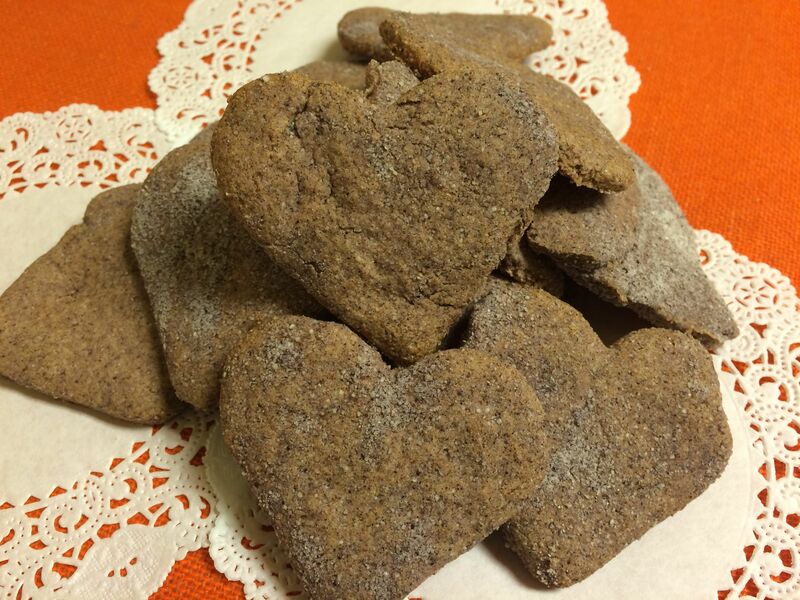 Local mesquite flour for the Valentine cookie recipe is available at the NSS store and at our Flor de Mayo booth, St Philips Farmers’ Market. 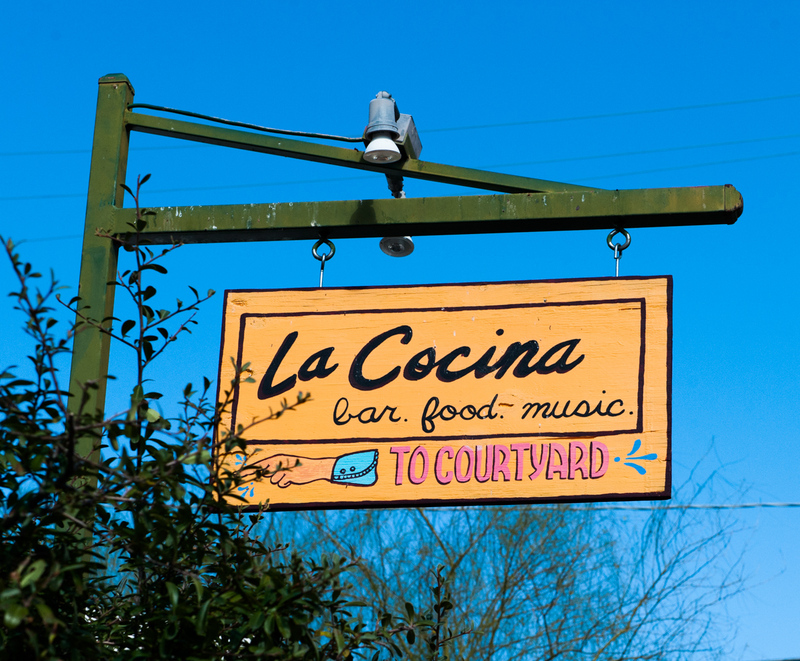 Come visit us this Sunday for a little taste! And, have us mill these organic grains fresh for you on-site! Check out http://www.flordemayoarts.com for re-sourcing these grains online. For a great grain brew, ask at Dragoon and our other local micro-breweries for their latest creation. 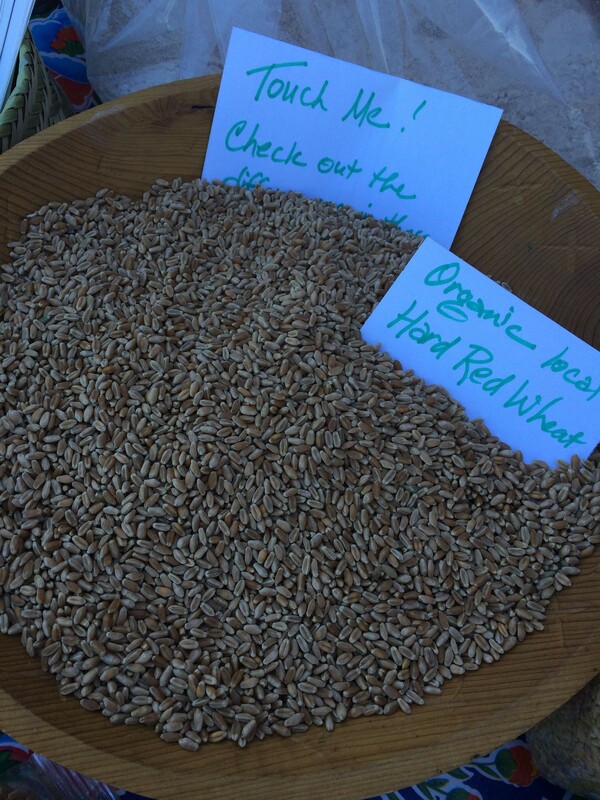 Here’s to your health–using our local, organic, heirloom grains! 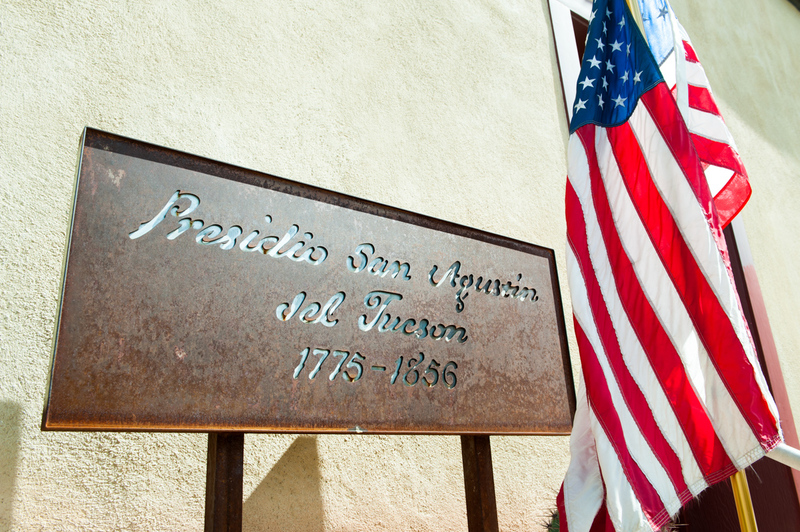 I invite you also to join me, Tia Marta, next Saturday, February 20, at Tucson Presidio Museum’s community lecture at the Dusty Monk Salon and Saloon, Old Town Artisans downtown Tucson. 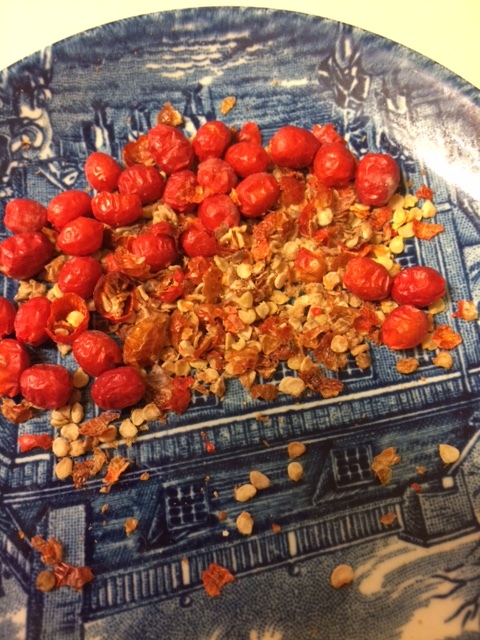 I’ll be speaking about the Presidio Period’s Edible Plants, and there just might be a few tastes of these heirloom grain treasures for accompaniment…. 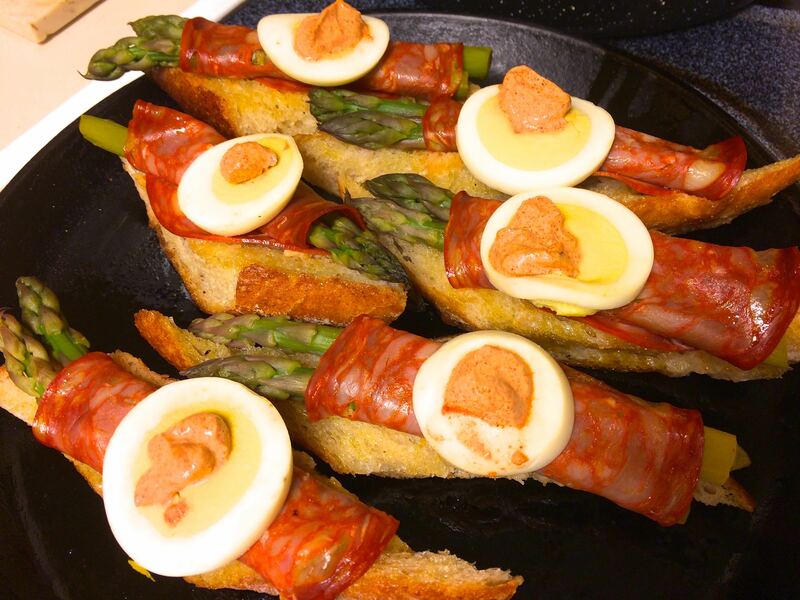 What makes Tucson an International City of Gastronomy? It is not only that we are blessed with amazingly creative chefs–like the ones showcased at the Mission Garden Picnic feast. 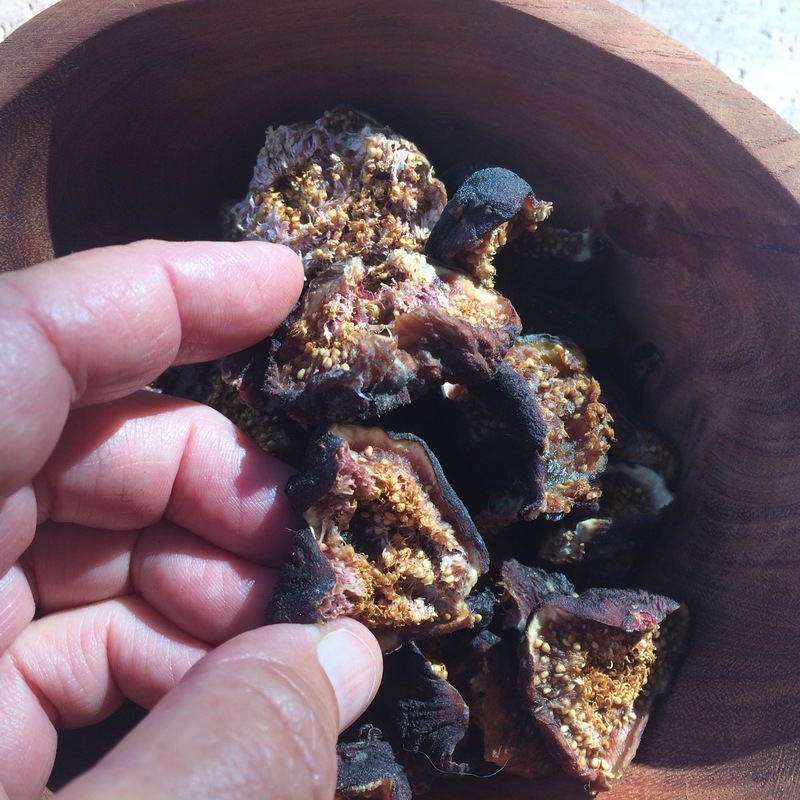 It’s also the availability of rare and wonderful heirloom foods that are adapted to our particular Baja Arizona climate, soil, and cultures! 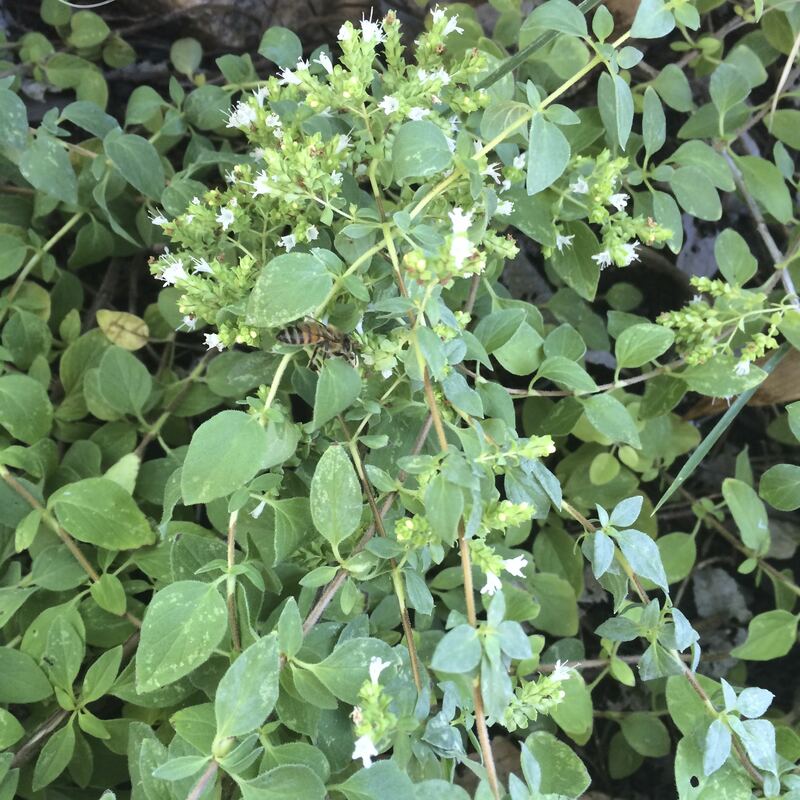 Few other places have the flavorful and nutritious diversity of crops that have been part of our Baja Arizona agricultural landscape for about 4000 years. 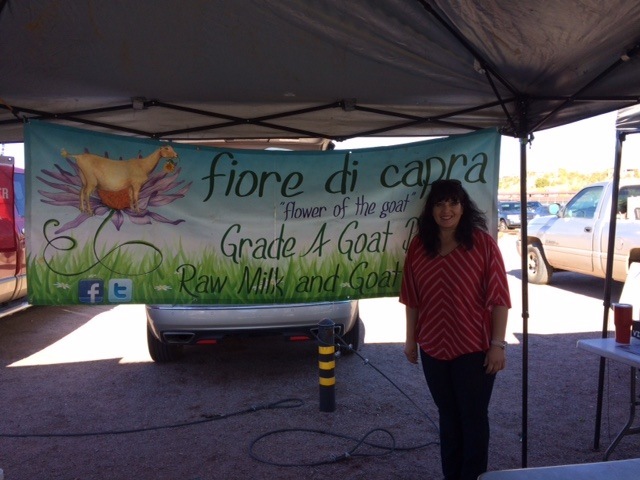 Tia Marta here to share ideas for finding the raw materials for some great slow-food feasting this Winter Solstice season. 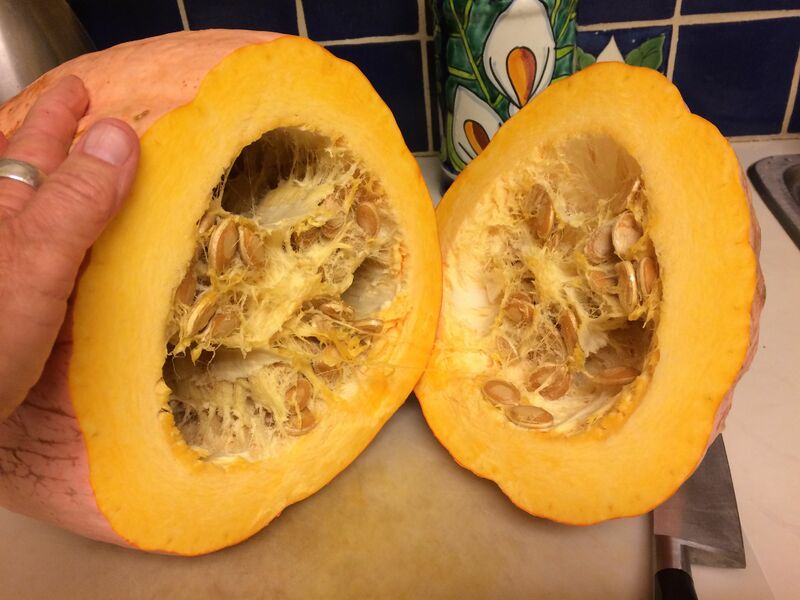 OPEN NSS NAVAJO BANANA SQUASH FOR AN EXPLOSION OF BETA-CAROTENES! Ignored, more than maligned, by present-day dominant cultures, the squash is a gift to menu-inventors. 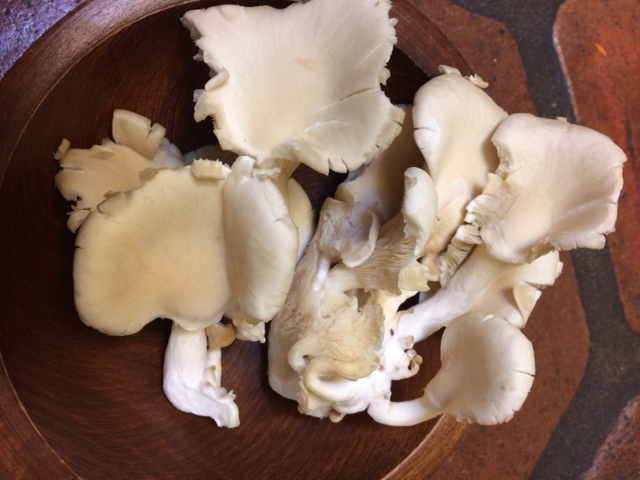 It can be prepared as a savory dish with good old salt/pepper/butter, or fancied up with moles. Or it can be made into fabulous desserts. 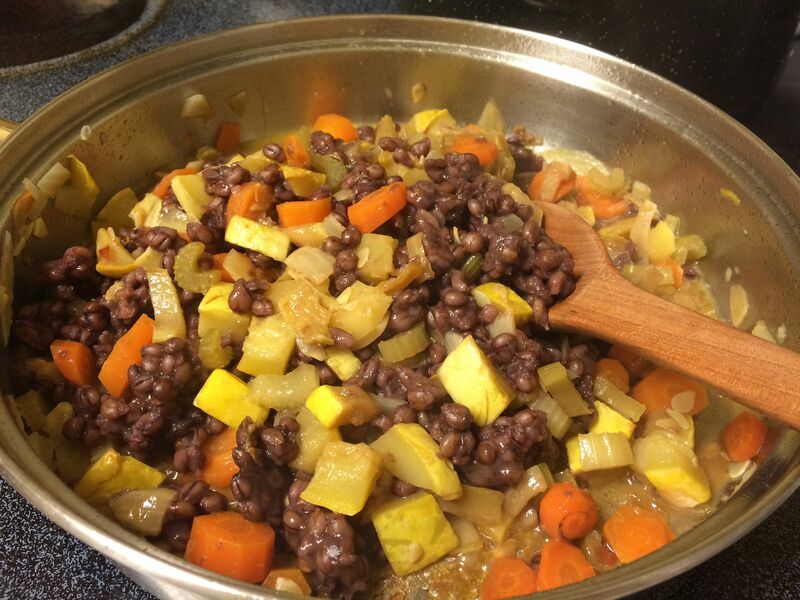 Use it in place of sweet potato for a genteel variation. My favorite is to make it into a festive “Kentucky Pudding”. Steam or bake squash ahead. 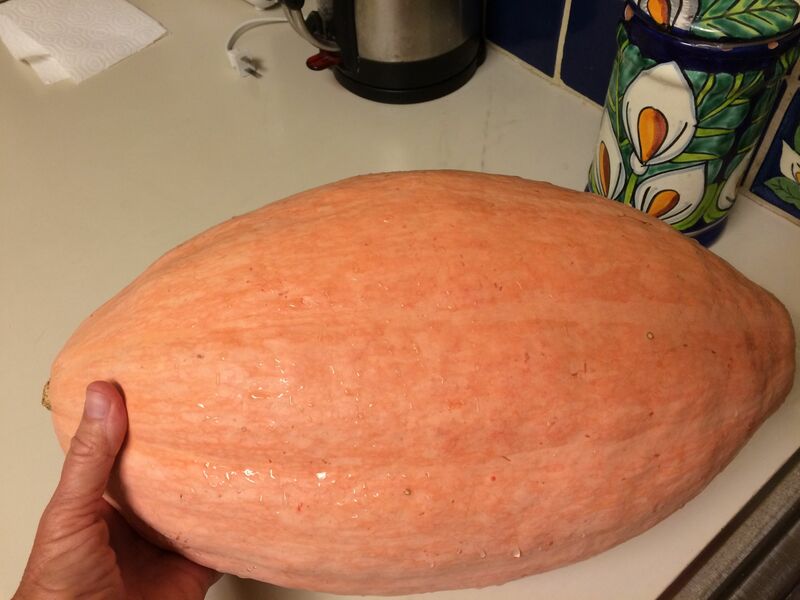 (You can freeze it for using later in a variety of recipes–it’s so convenient!0 In a saucepan, heat mashed squash on medium. Add honey, ginger, nutmeats. 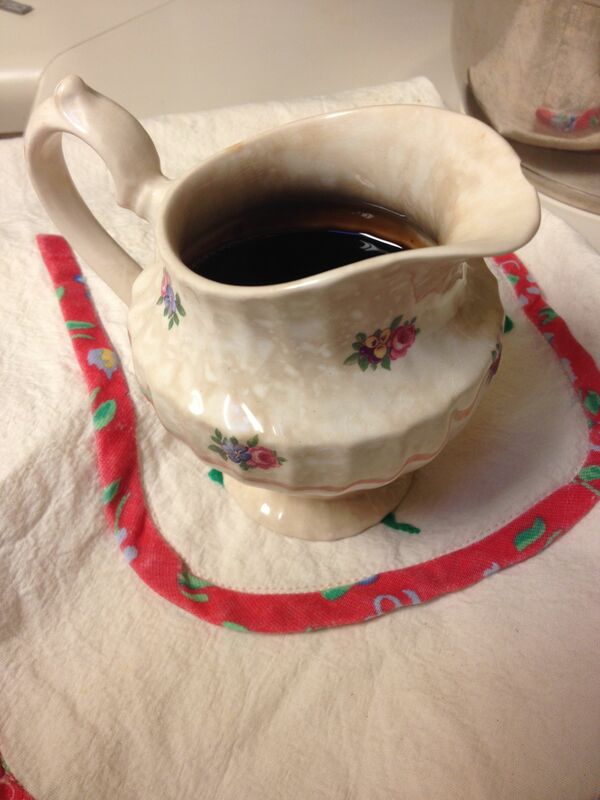 When hot and steamy, stir in the bourbon quickly and serve with a flair. 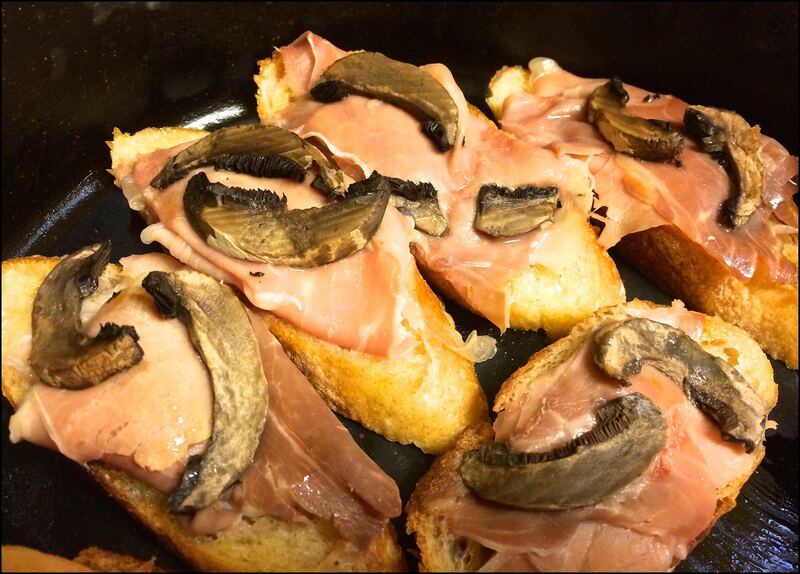 You could even try flambé. Serves 4-6. 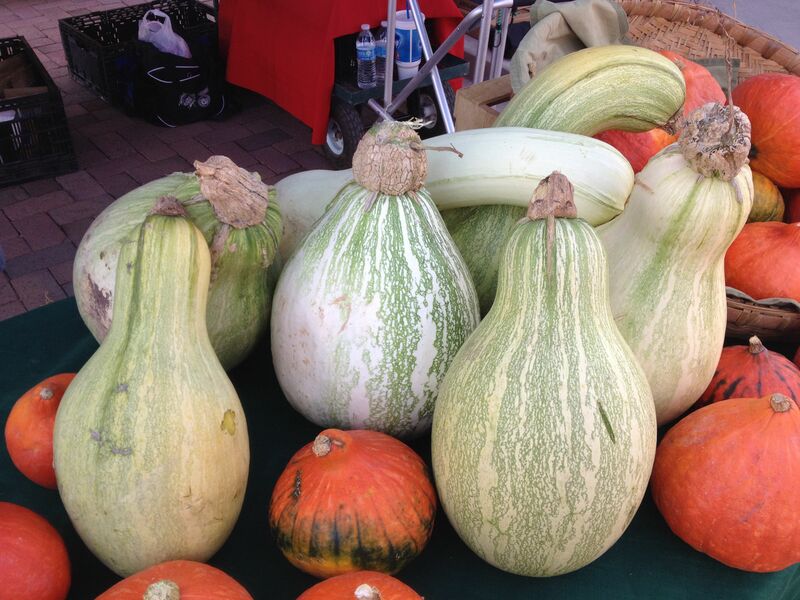 These luscious heirloom squashes, grown at NativeSeeds/SEARCH’s Seed Conservation Farm in Patagonia, are available now at our Flor de Mayo booth at Sunday’s St Philips Farmers’ Market. Come see the size of them–one of them could feed the whole extended family or a small tribe! We will be selling them by the smaller family-sized chunk as well. 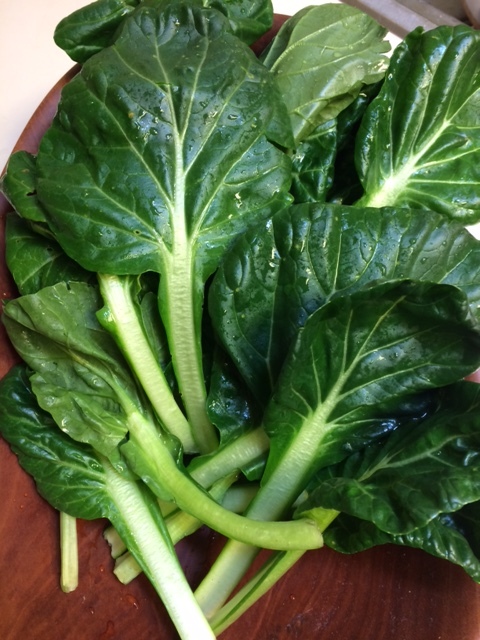 Start salivating… If you are seeking Vitamin A in glorious beta-carotenes, this is the food to find. 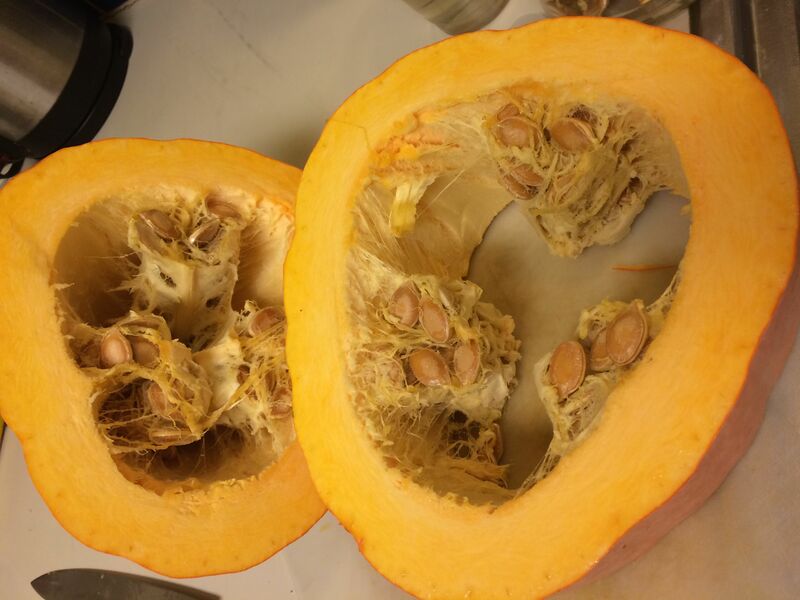 And don’t forget those giant seeds inside! 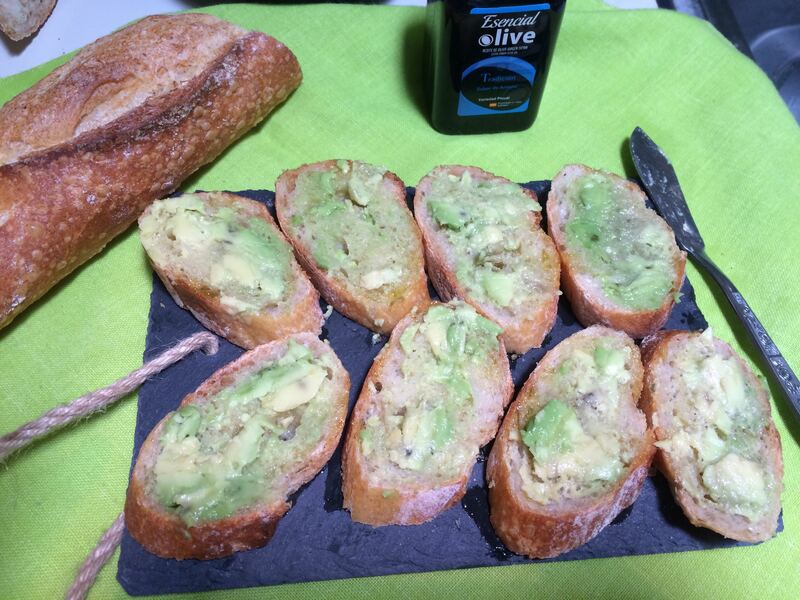 They can be roasted easily with a little olive oil and sea salt and voila you have a healthy snack full of zinc to ward off colds in this chilly season. You can save a handful of those seeds to plant next summer in your garden and keep the gift growing. 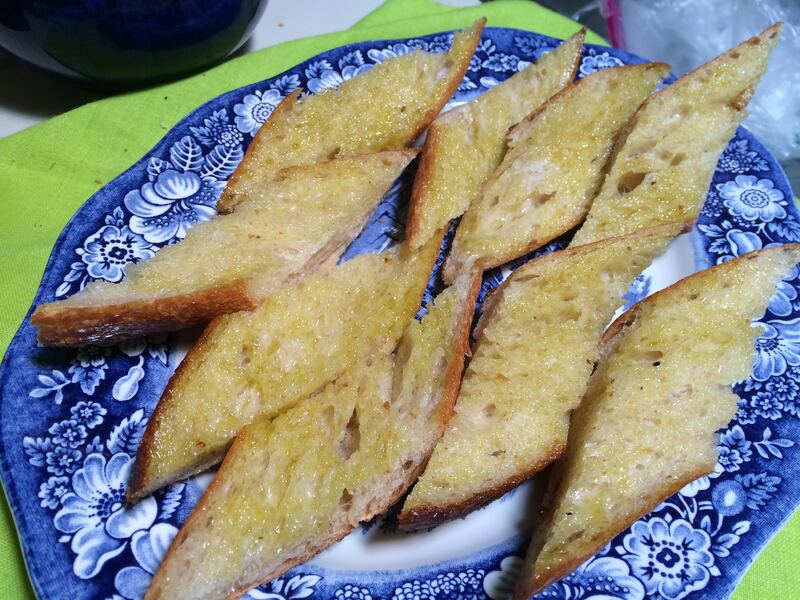 And here are some ideas about baking with local heirloom grains…. 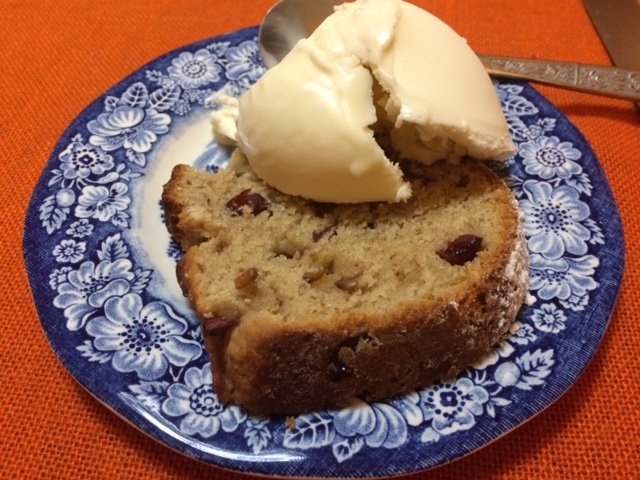 Get out your VitaMix or your hand-mill and get ready for a real treat–home-baked goodies made with fresh-milled flour from whole heirloom grains. 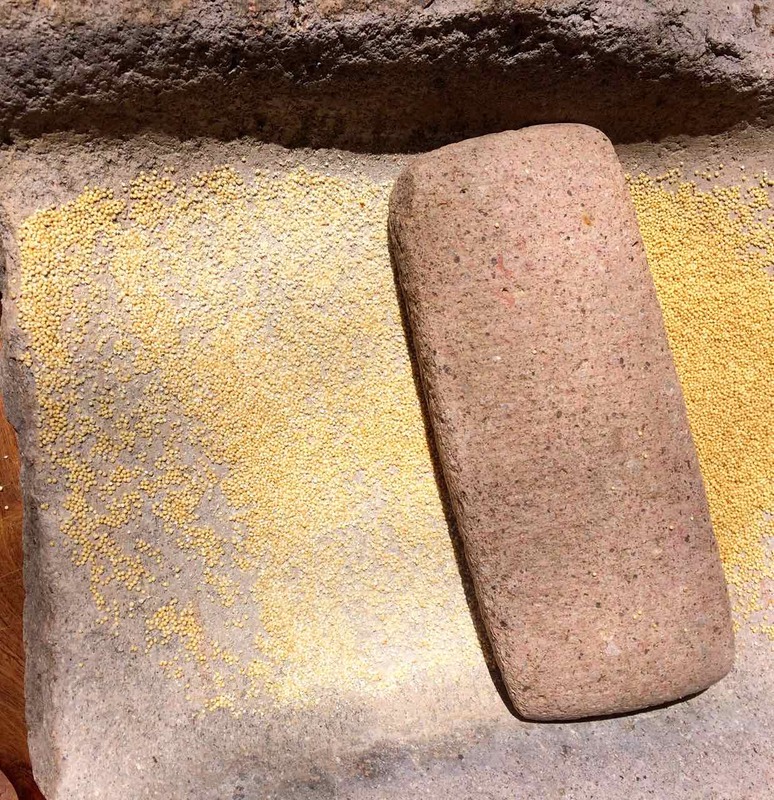 Find these precious ancient grains at the NativeSeeds/SEARCH Store (3061 N Campbell near Prep and Pastry) and at the Flor de Mayo booth–Sunday St Philips Food-In-Root Market. If you don’t want to take the time, or if you don’t have milling equipment, no problem! Just come by our Flor de Mayo farmers market booth and see your special grain being fresh-milled before your very eyes. It is especially neat for kids to see where flour comes from. 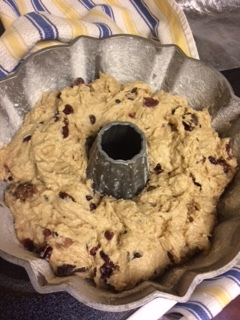 Surprisingly, many an adult has difficulty making the connection with grain and flour. The beauty and significance of keeping the grain whole until milling is that the grain is ALIVE! When used fresh-milled within a few days of milling, the beneficial enzymes–the “life force” in the whole kernel–are still active in the flour. 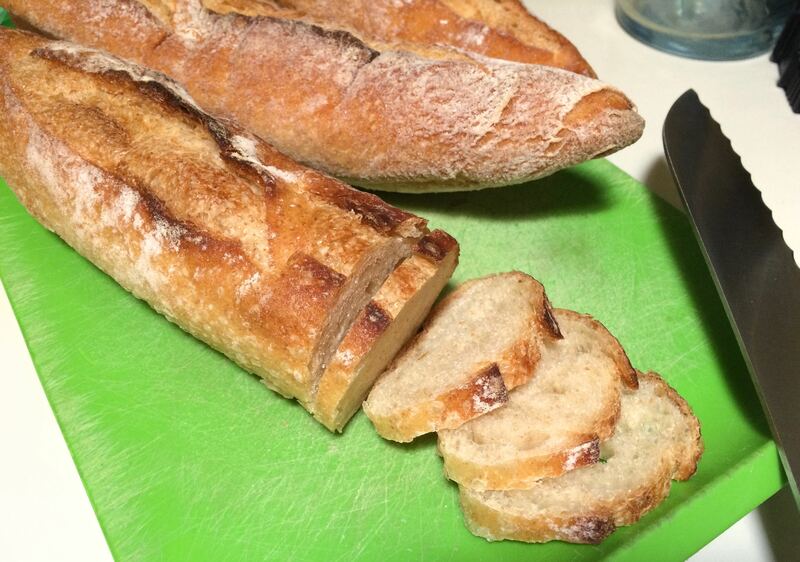 And the taste of freshly-milled flour is a whole new flavor-ballgame. Come actually touch our good organic grains! Feel their liveliness. 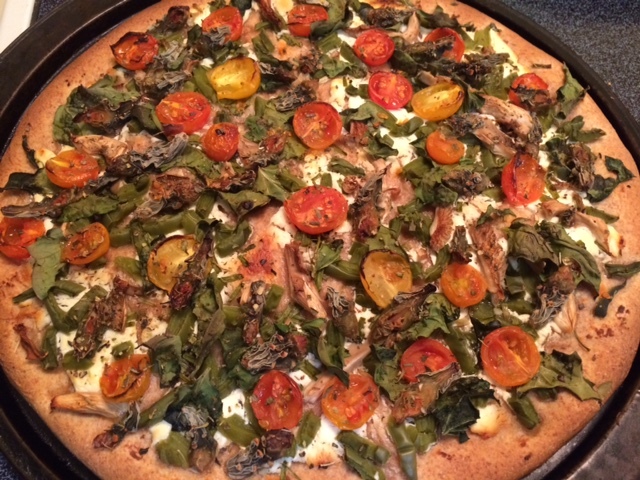 We have recipe ideas to share, like our Baja Arizona White Sonora Wheat flour and Mesquite pie crust. 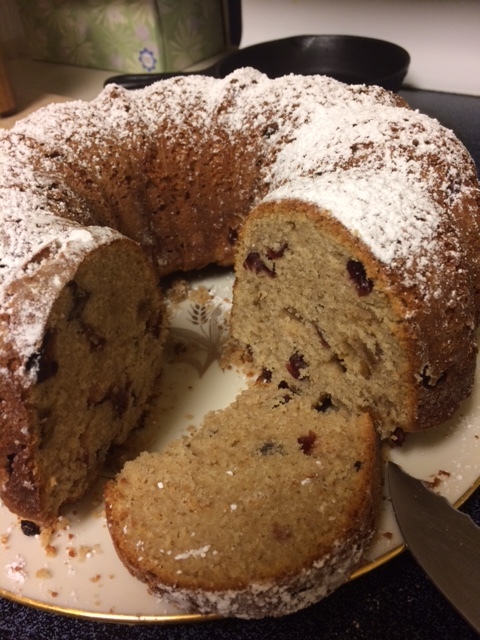 In addition we can recommend lots delicious whole wheat-berry recipes for Padre Kino’s white Sonora wheat grown locally by BKWFarms or the Pima club wheat grown by San Xavier Farm Coop and Ramona Farms. 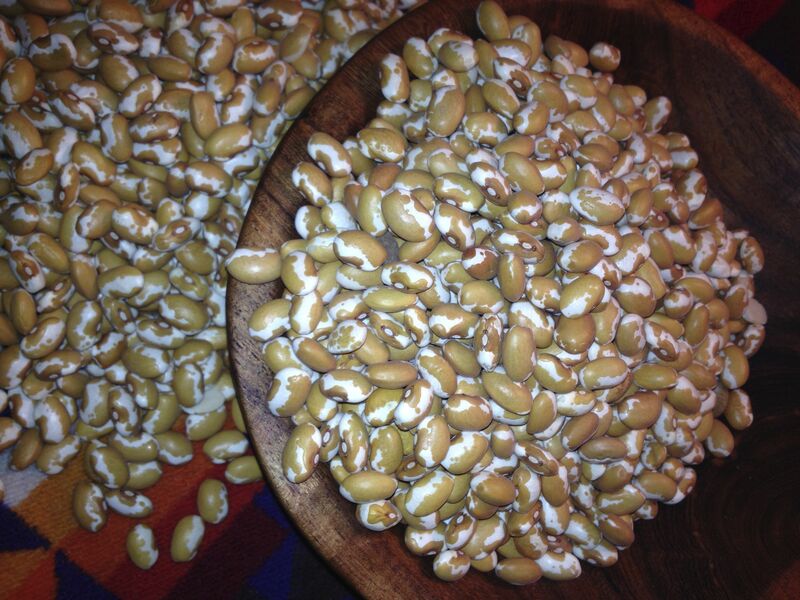 Try using Mano y Metate’s Pipian Rojo Mole as a vegetarian spice for these Zuni Gold beans! 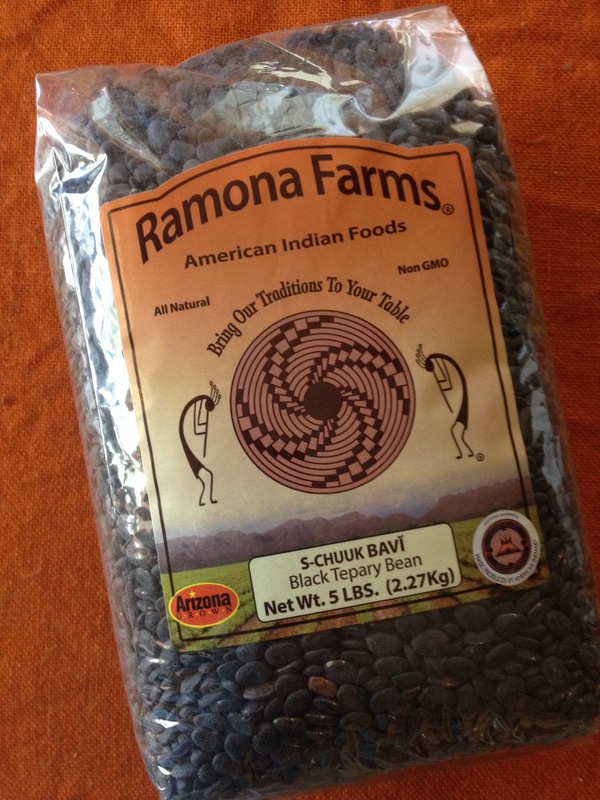 Tis the season also to rejoice in the indigenous beans that have supported Native cultures for unknown centuries. Heirloom beans are full of protein, full of flavor, and so versatile. I like to cook up a big pot of these golden Solstice beans and then freeze them in serving sizes to prepare later in a variety of fun ways–as chile beans, as dips, in burritos, as hummus, and of course heart-warming bean soup–the list goes on… Come get inspired at our Flor de Mayo table when you see the biodiversity of beans spread before you! 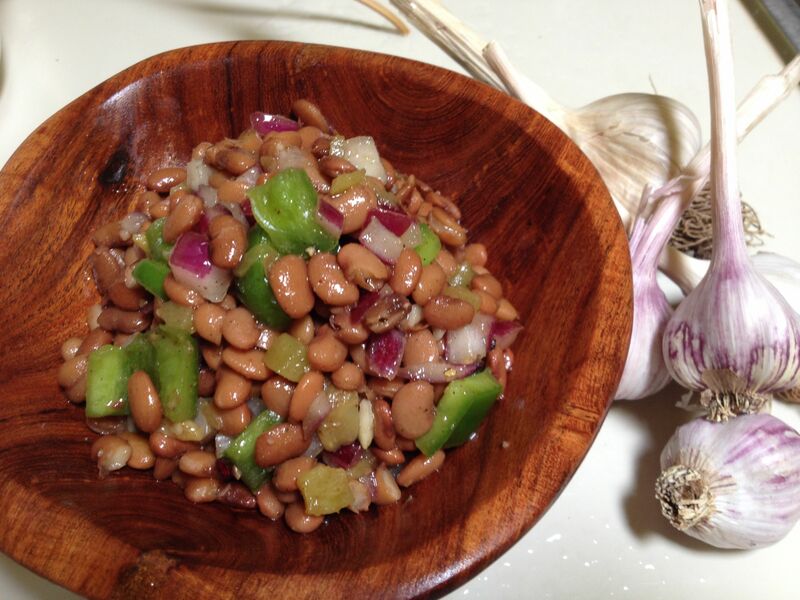 Delectable Christmas Limas can be prepared as vegetarian centerpiece dishes to honor the season! 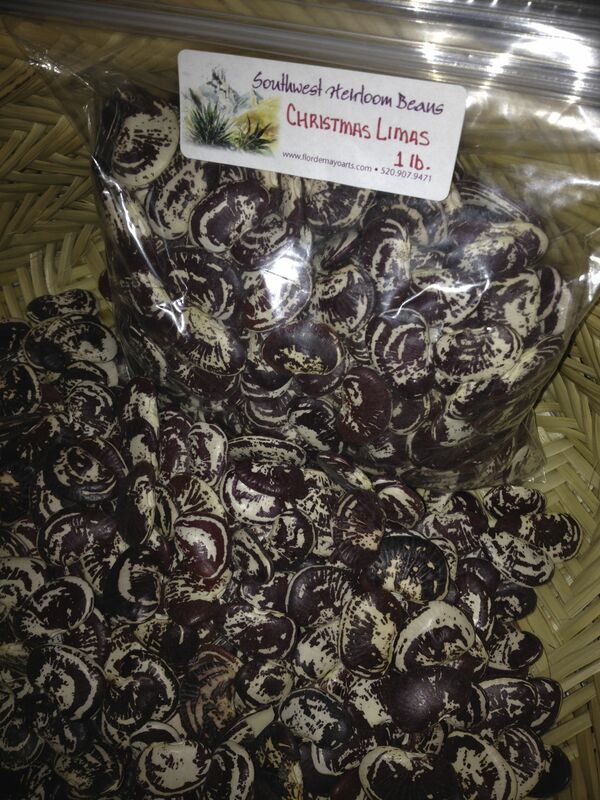 The most festive heirloom bean of the holiday season is the colorful Christmas Lima (AKA Chestnut Lima) so called because of the timing when it is harvested. 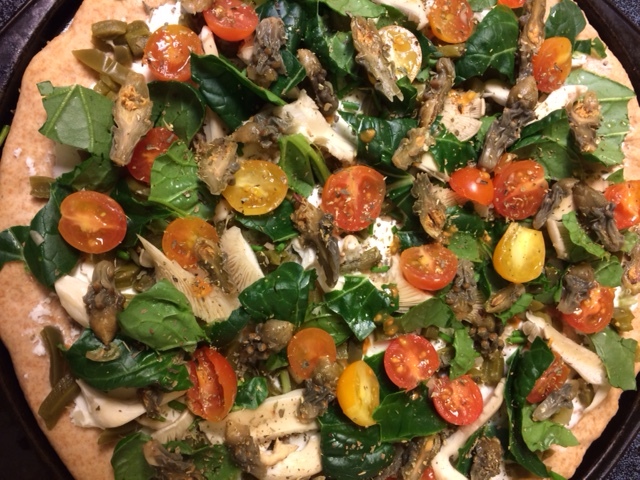 (Check out past blog posts for some great recipes.) We have even had jewelry-makers buy this bean to string as fetish-style necklaces. Calling creative gift-givers! Join us at the Sunday St Philips Farmers Market for some meaningful, local, healthful and tasty gifts that say “Baja Arizona” in the most delightful way. 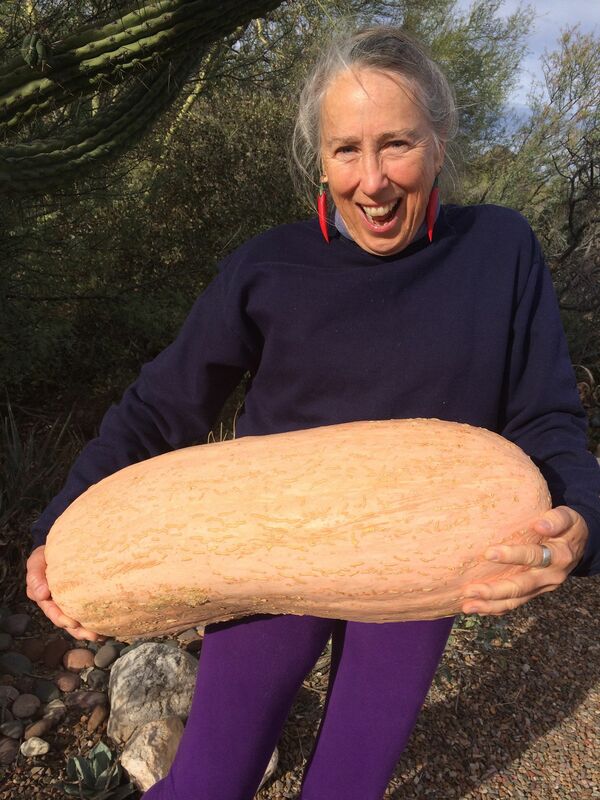 Just for scale, Tia Marta hefts this heirloom Navajo squash. Who needs a workout center if you are a gardener or farmer? May you have happiness, health, peace in your hearts, and good cheer this holiday season –greetings from Rod and Tia Marta at Flor de Mayo! In both the low Sonoran Desert and in the higher Southwest, fruits are hanging on the trees ready for harvest. 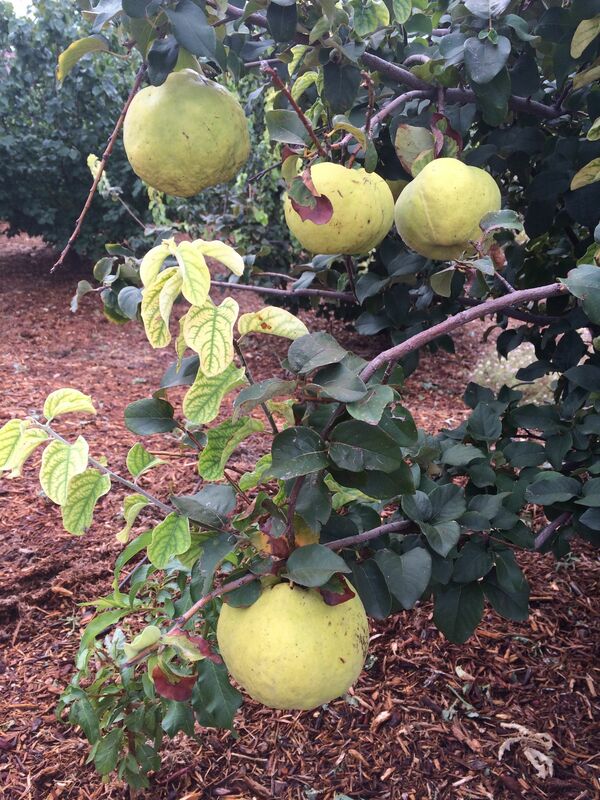 At Mission Garden the quince trees, better known as membrillo, are bearing their last sturdy fruits. Mission Garden was the site of a wonderful celebration of membrillo in October with talented cook Josefina demonstrating how to make cajeta de membrillo, our sweet autumn dessert delicacy. 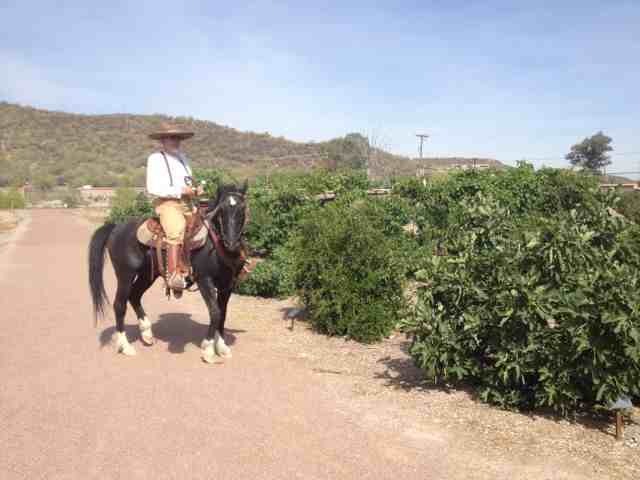 Membrillo (Quince) trees heavy with fruit at Mission Garden in Tucson, Arizona, near A-Mountain–Come visit any Saturday morning! 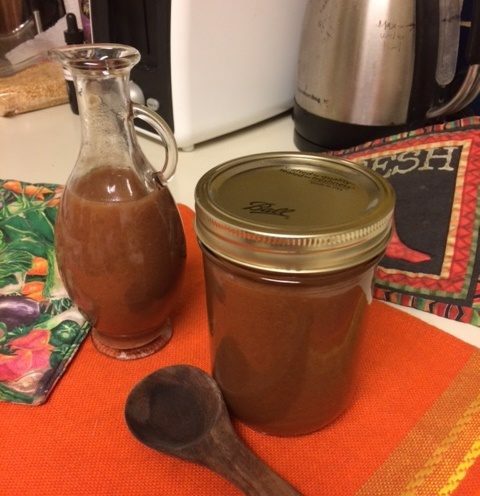 Tia Marta here to share what is happening in my kitchen these days, bringing together some of my most admired heirloom grain and fruit ingredients–both cultivated and wild–knowing that I have guests coming for the holidays who need a little taste of LOCAL! It is pie time in our household. And today it is Membrillo-Apple Pie with White Sonora Wheat-Mesquite pie crust! I mean, how much more local can one get? This was the year that our five-year-old quince tree, which we purchased from Desert Survivors Nursery Kino Fruit-tree Project, and which we planted a couple of years ago in our backyard, decided to flower and set fruit–just enough this time to make a couple of pies. We look forward to the amazing productivity in future years that the Mission Garden quince trees are already showing. 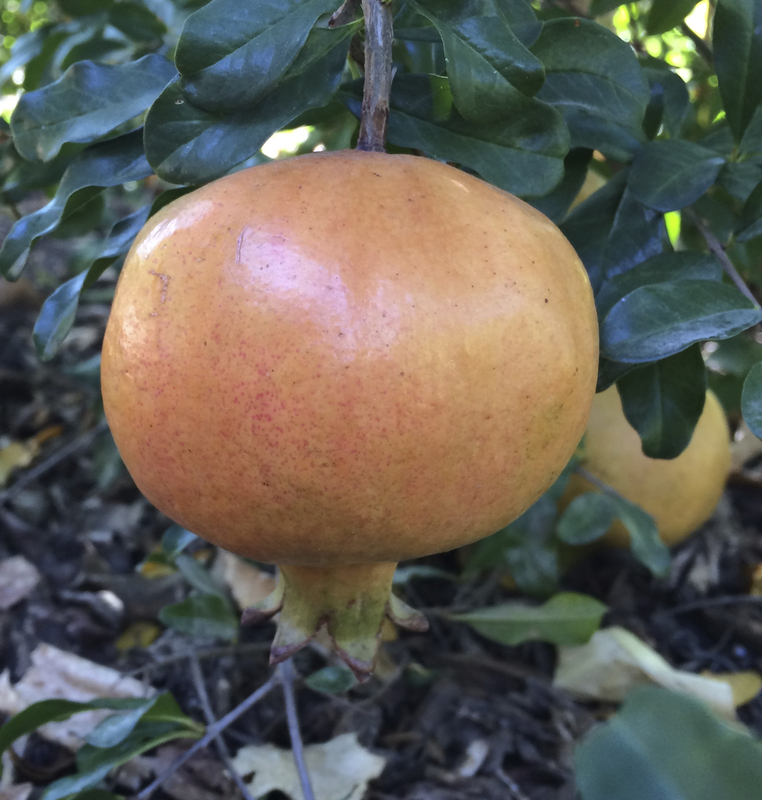 Quince or membrillo fruits look like a cross between yellow apples and pears but are far more sturdy than either of those. Before ripening they are covered with fuzz and, as they lose it and become shinier and more yellow, you know they are ripening. Because they are harder than other fruit, be sure to cut membrillo with extra care. Expect this to result in not-so -symmetrical slices–no problem inside a pie. I chose to mix membrillo with its sweet cousin, heirloom local apples, to create a Southwestern version of the all-American pie. 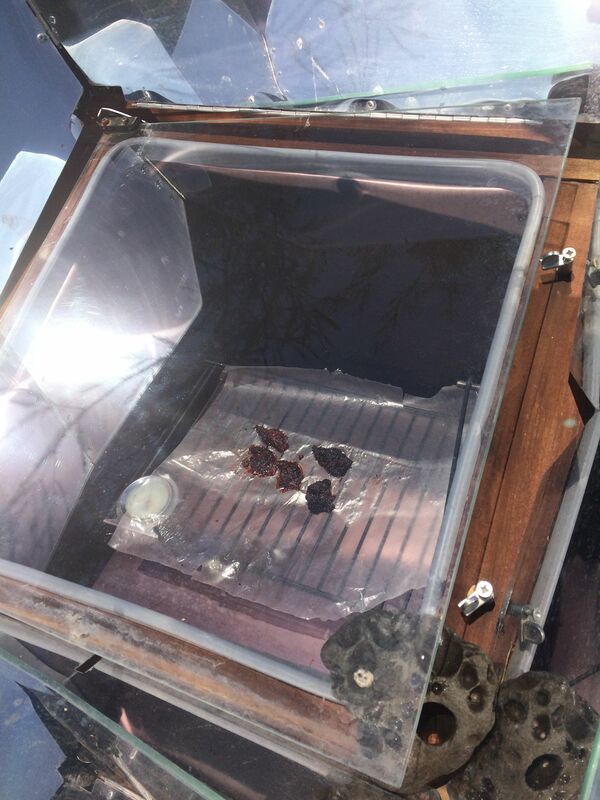 From the neat old Pendley Homestead at Slide Rock State Park in Oak Creek Canyon near Sedona, I obtained the deep maroon-skinned apples shown above from a 1912 orchard. 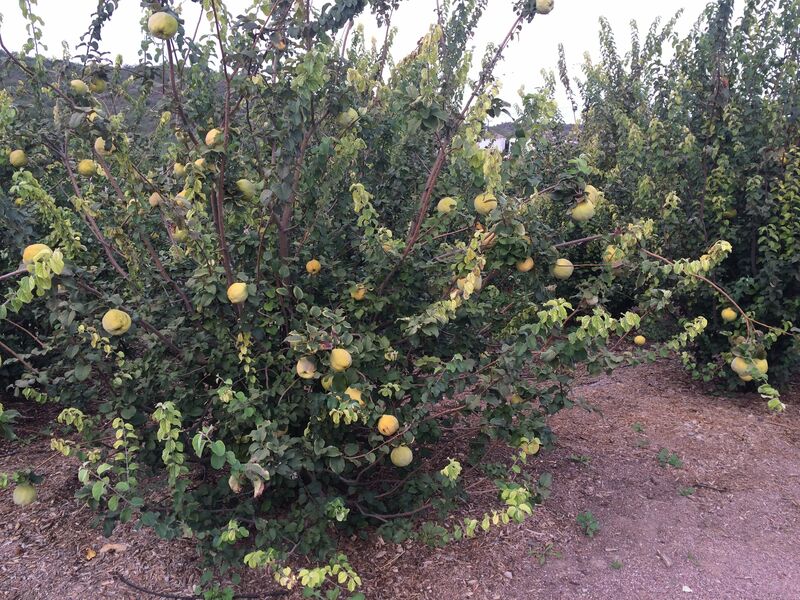 From the English Family Orchards at Willcox I added a few little galas. Don’t ever be ashamed to ask orchardists at farmers’ markets if they have any “rejects” for sale. Many a tasty apple gets tossed because it has a blemish or knick. 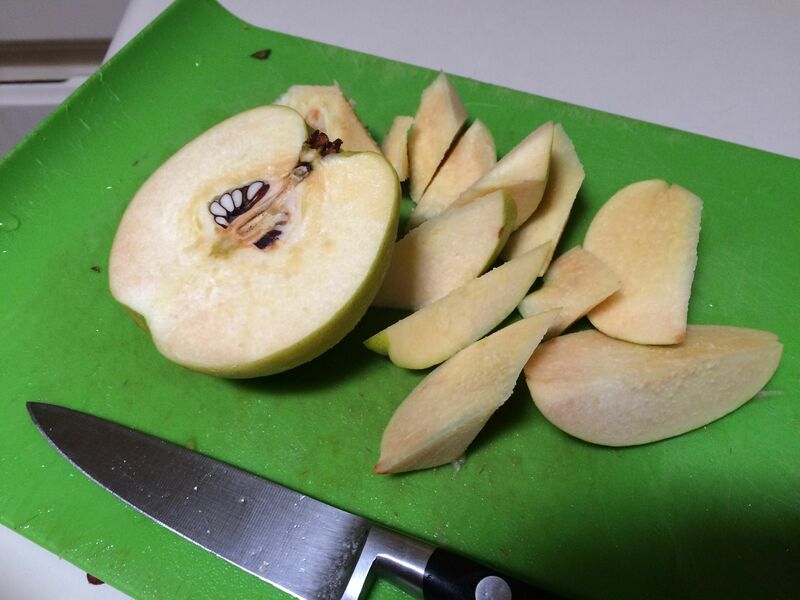 Such apples can become a rewarding gift in pies, apple-brown-betty, or applesauce. 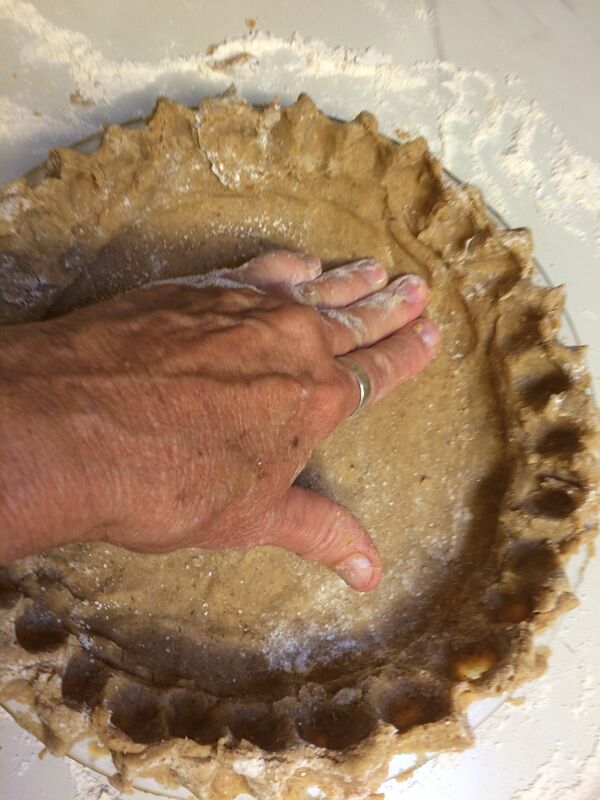 Mesquite meal and white Sonora wheat make a fabulous pie-crust! 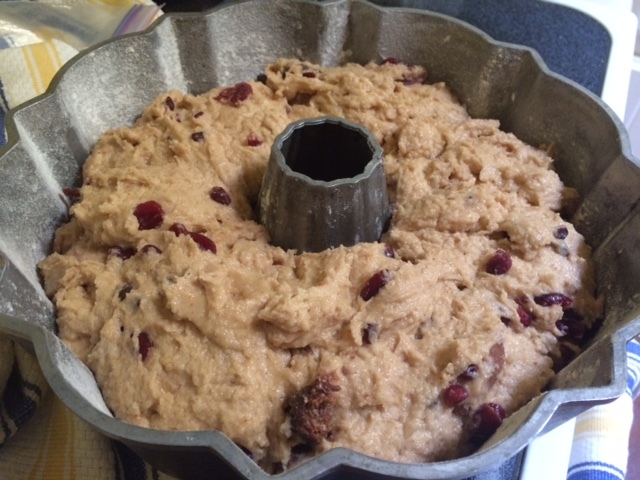 It is not as elastic as store-bought crusts so be careful in rolling it onto your pie pan. Shown here is a very flat spatula I use as an assist. 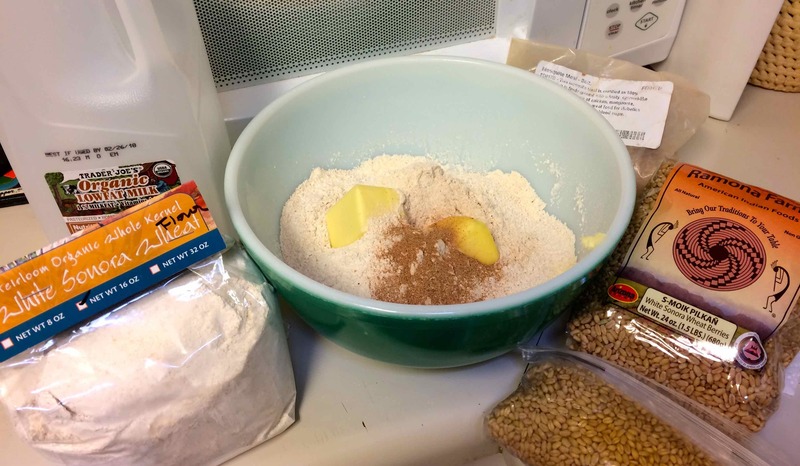 *Organic, fresh-milled white Sonora wheat flour is available for your holiday baking from our Flor de Mayo booth at Sunday St Philips Farmers Market, or by contacting us at info@flordemayoarts.com or 520-907-9471 to order it ahead. 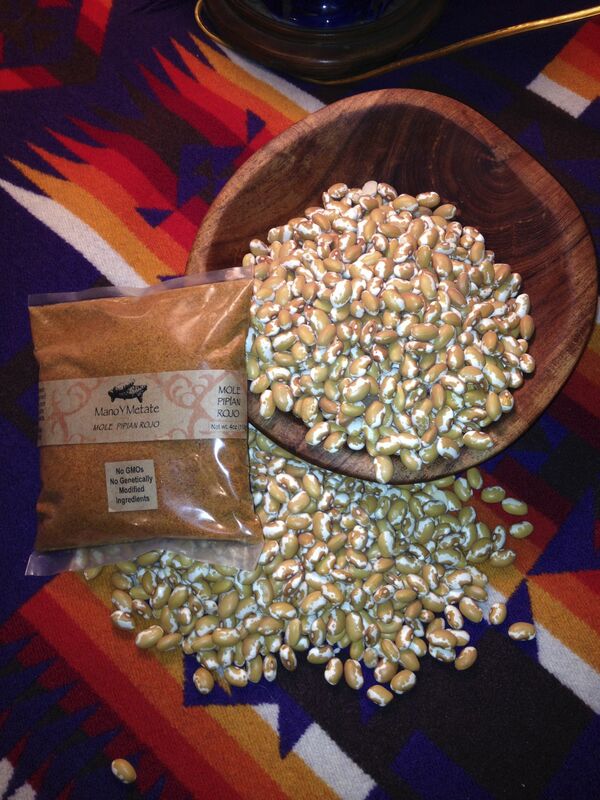 **Freshly-milled velvet mesquite pod meal (flour) is available via the same Flor de Mayo contacts above. 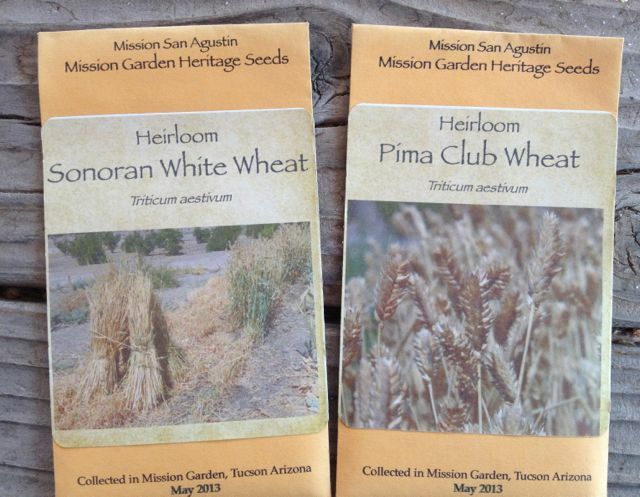 Both kinds of heirloom flour are available at a special Heirloom Grains event this coming SATURDAY November 21 at the NativeSeeds/SEARCH store, 3061 N Campbell, Tucson–the public is invited 10am-2pm. 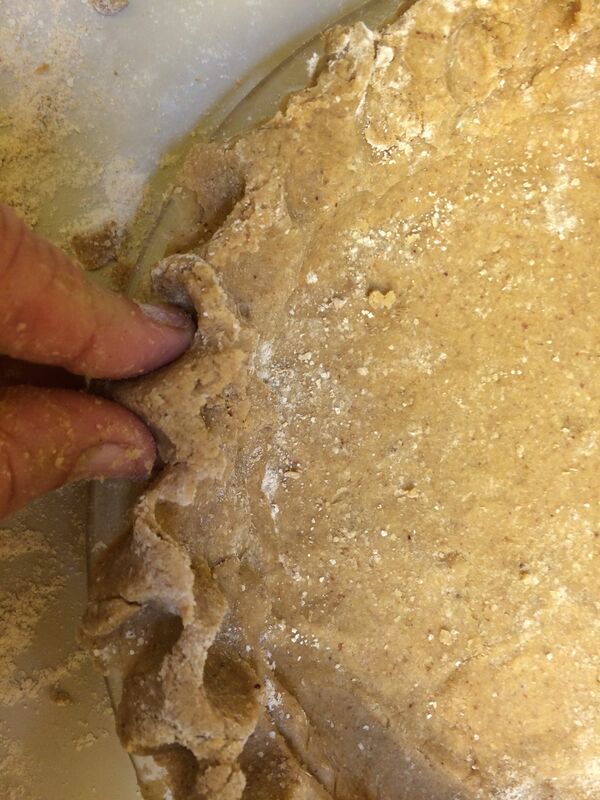 Pinching a tall scalloped edge of my mesquite/heirloom wheat pie crust–This provides a retaining wall so juicy filling will not overflow while cooking. 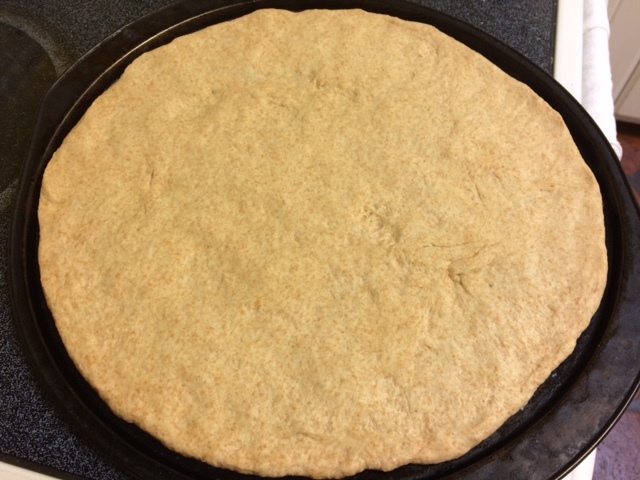 With second dough ball, roll out as before then cut in 1/2 inch wide strips to lay in basket-weave pattern atop the pie filling to allow filling to lower as it cooks. Membrillo/apple pie filling in shell ready to bake. 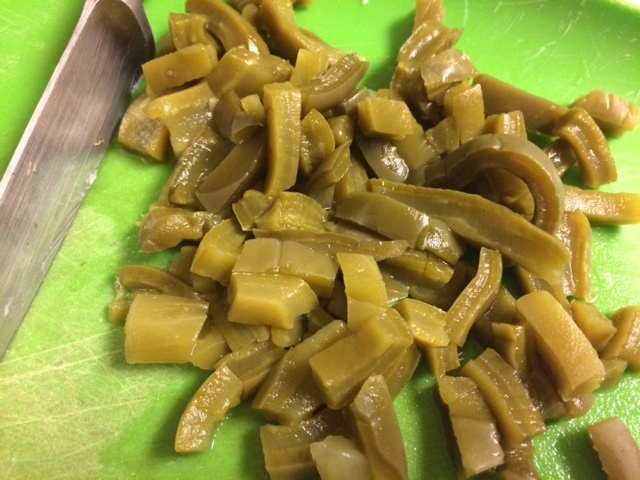 Check out the heirloom sweet lime adjacent–with the dimple–this one from Mission Garden. 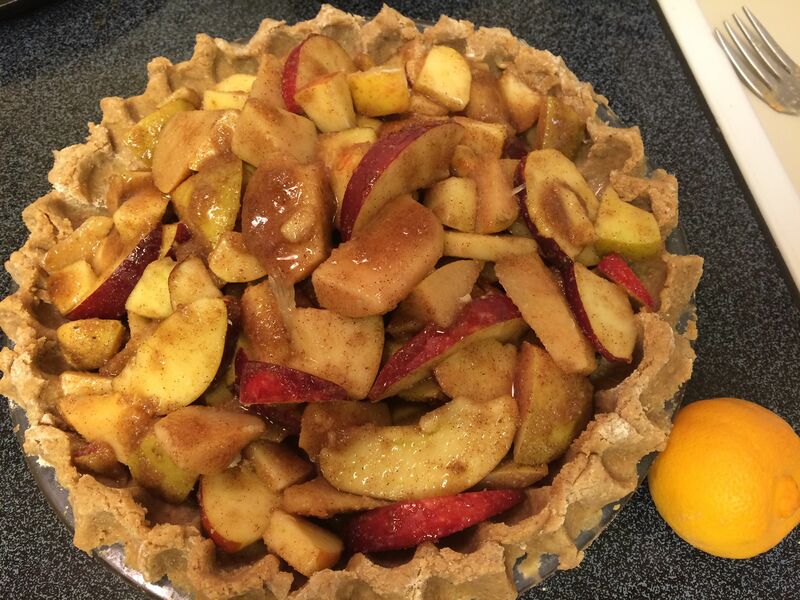 Membrillo/Apple Pie-Filling Directions: Preheat oven to 400 degrees. Combine sugars, flour, cinnamon, salt, then mix with the sliced apples. 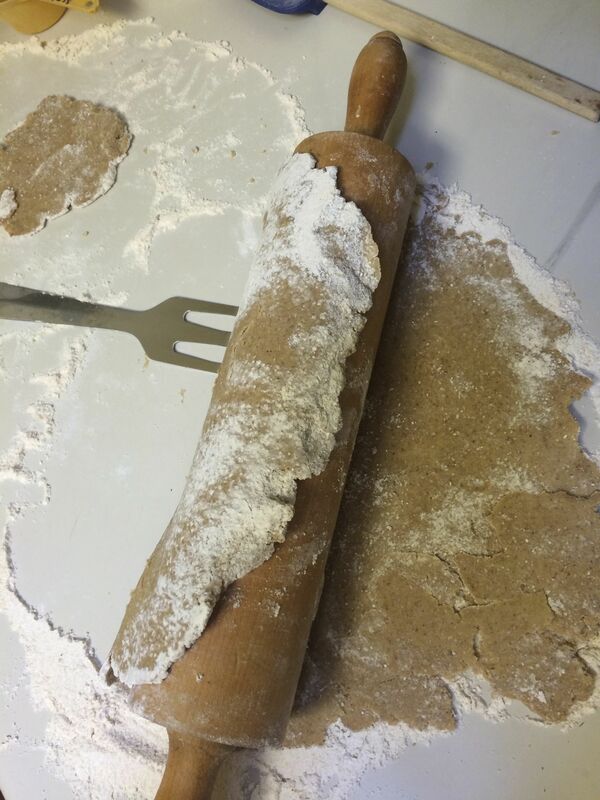 Fill uncooked pastry crust (shell) with mixture. Squeeze the sweet lime juice over the filling and place dollups of butter on top. 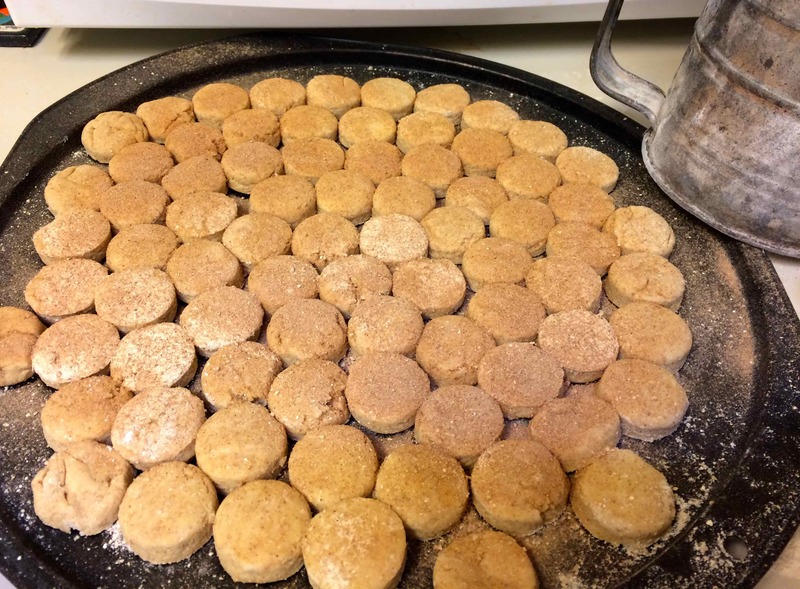 Place lattice strips of the mesquite/whiteSonorawheat dough across the top of the filling as in picture below. 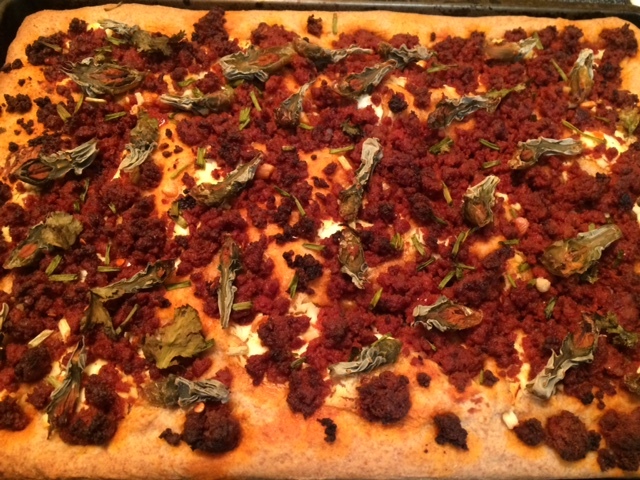 BAKE for 40-50 minutes or until the crust looks golden brown. Note: mesquite meal has natural complex sugars which may caramelize or brown faster than white flour so keep an eye on it after 40 minutes. The one in my photo got a little too done for my taste, but it will still be fabulous. 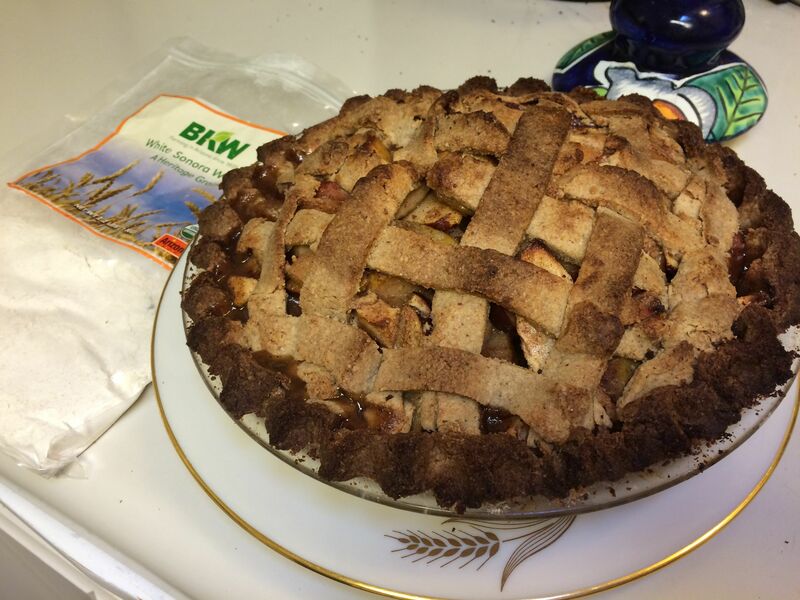 Membrillo/heirloom apple pie with lattice crust of mesquite/white Sonora wheat –hot and ready to serve–To the left in photo is flour milled from BKWFarms wheat-berries. There will be several ancient grains available at our upcoming Celebration of Heirloom Grains this SATURDAY at the NativeSeeds/SEARCH Store. Put it on your calendar and dig out your favorite recipes! 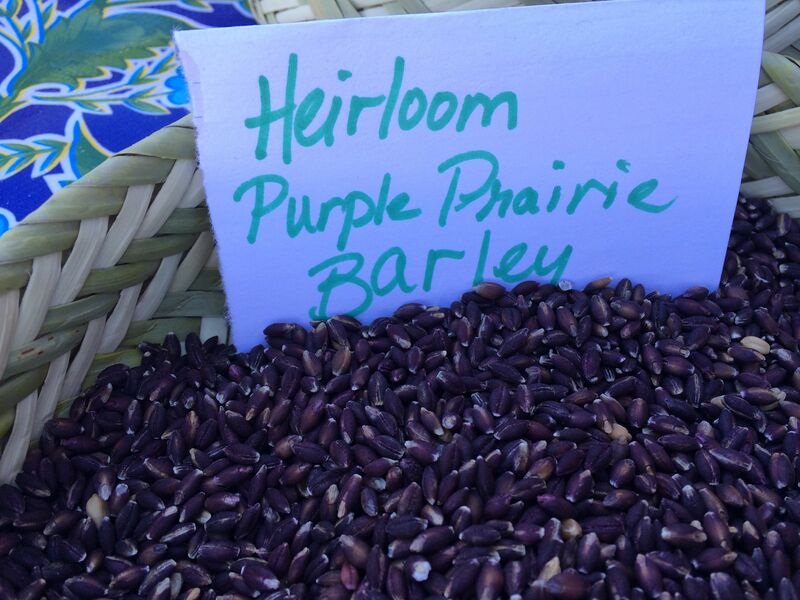 Heirloom purple prairie barley available at Flor de Mayo booth,St Philips Farmers Market and at the NSS Grain Event Saturday! 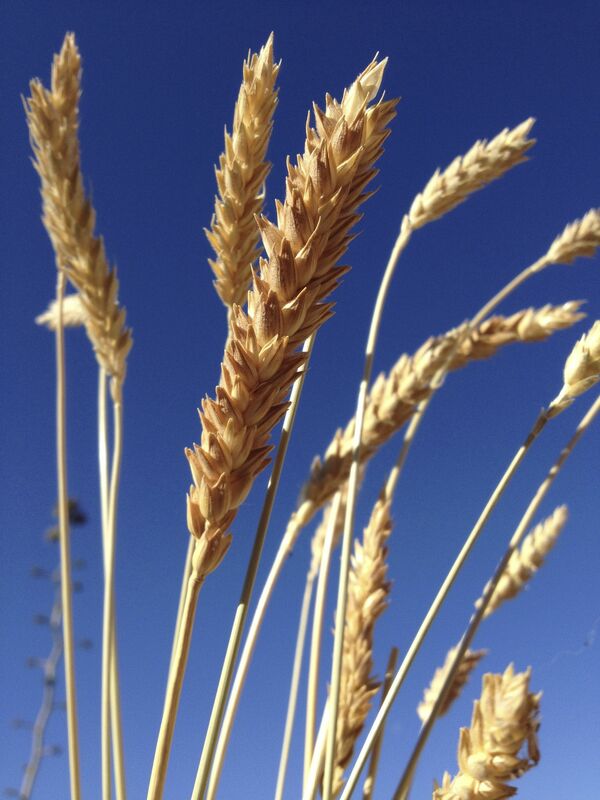 In addition to our native Mesquite Flour, there will be such fresh lovely grains as organic Hard Red Wheat grown by BKW Farms in Marana which is superb for breads. 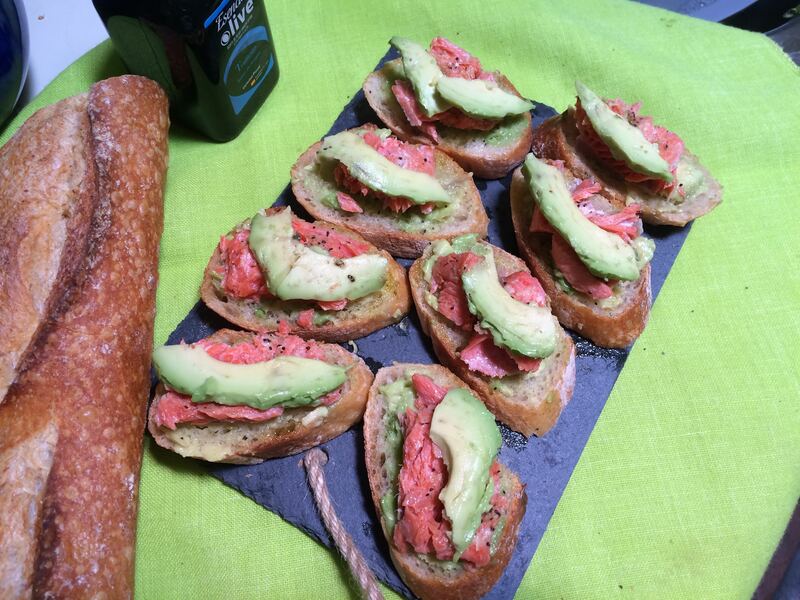 Our organic white Sonora wheat is the best for pastries. 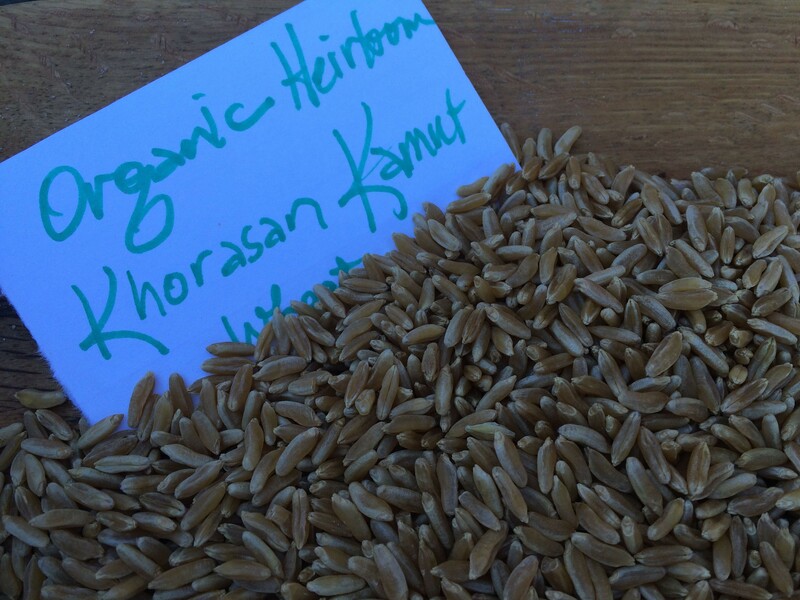 Also available will be the ancient Purple Prairie Barley originally from Afghanistan, now from Hayden Mills. For the knowing baker, milling the whole grain fresh creates a totally different and wondrous effect to breads and pastries because the enzymes and other constituents in the grain remain “lively” for only a few days after milling. Come enjoy the milling process right before your eyes and feel the vitality of the flour you can take home to bake with! Our thanks go to the caring padres who first brought the grains to the desert Southwest, to the generations of farmers who continued to grow and save the grain, to NSS for “rediscovering” and conserving them so carefully for the future, and to new farmers like San Xavier Farm Coop, BKWFarmsInc, Ramona Farms, and Hayden Flour Mills for multiplying them for our nutrition, enjoyment, and sustainable desert living! 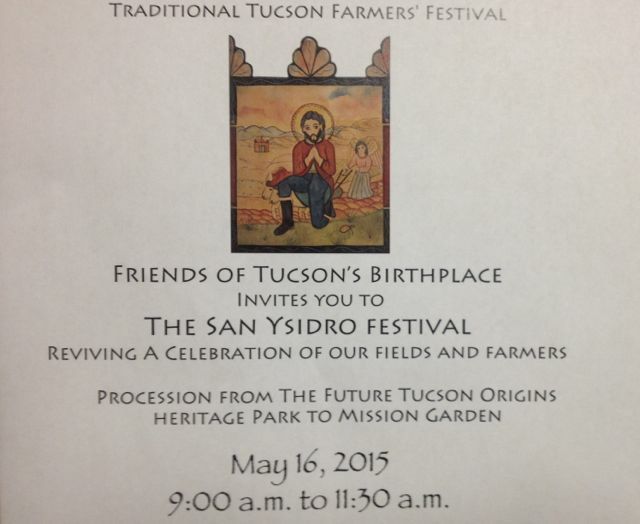 For more info please call NativeSeeds/SEARCH at 520-622-5561 or Flor de Mayo at 520-907-9471. See you at the Milling and our Celebration of the Heirloom Grains!! Taste Buds Ready to “Rejoice in Local”–at Mission Garden! 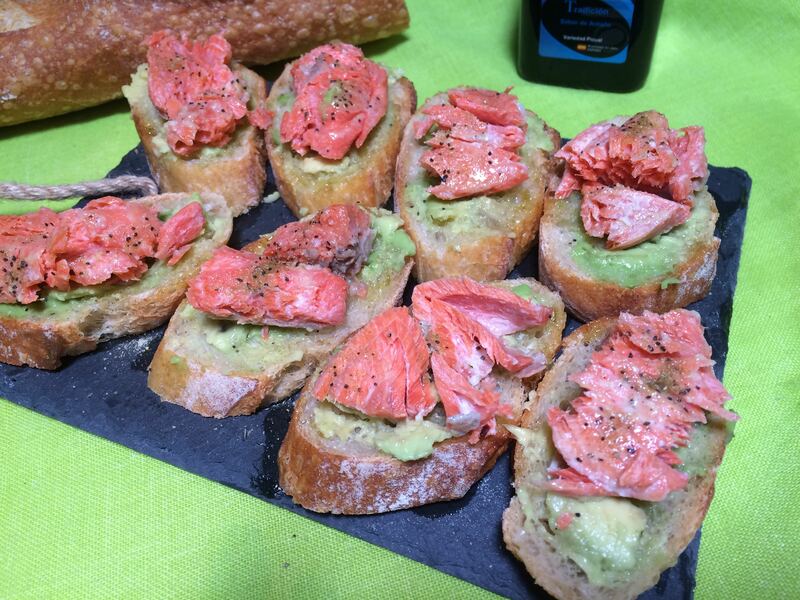 Indeed, there is no doubt Tucson should be given the designation as an International City of Gastronomy! Where else in the world could we enjoy a finer, more diverse, perfectly indigenous, more delectable and nutritious PICNIC-FEAST than here in Tucson? 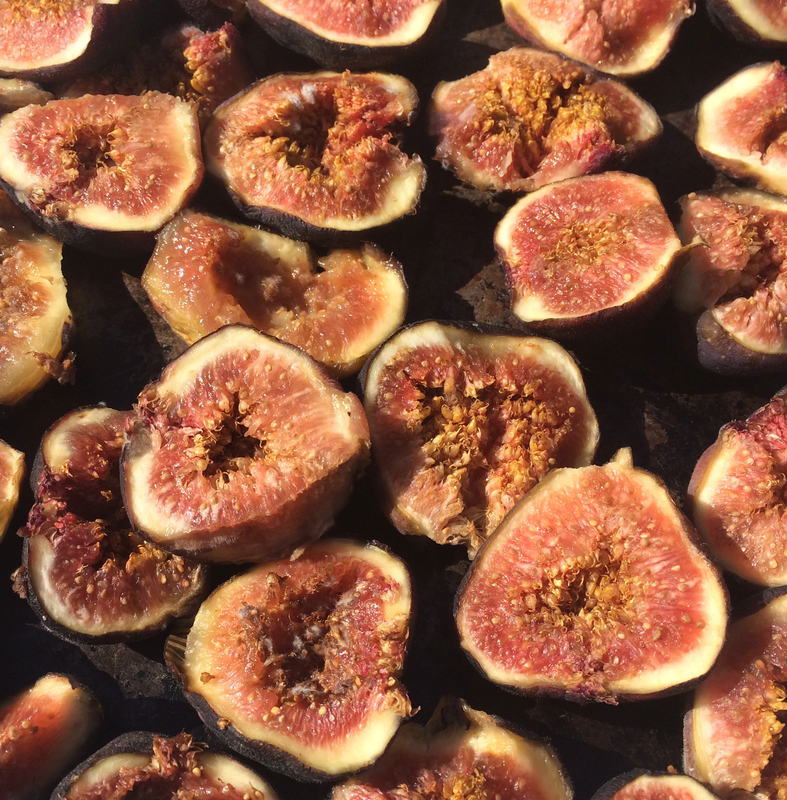 Delicious dishes were the pieces de resistance by some of Tucson’s most renowned chefs for……the first-ever Farm-to-Table Picnic at Tucson’s Mission Garden. 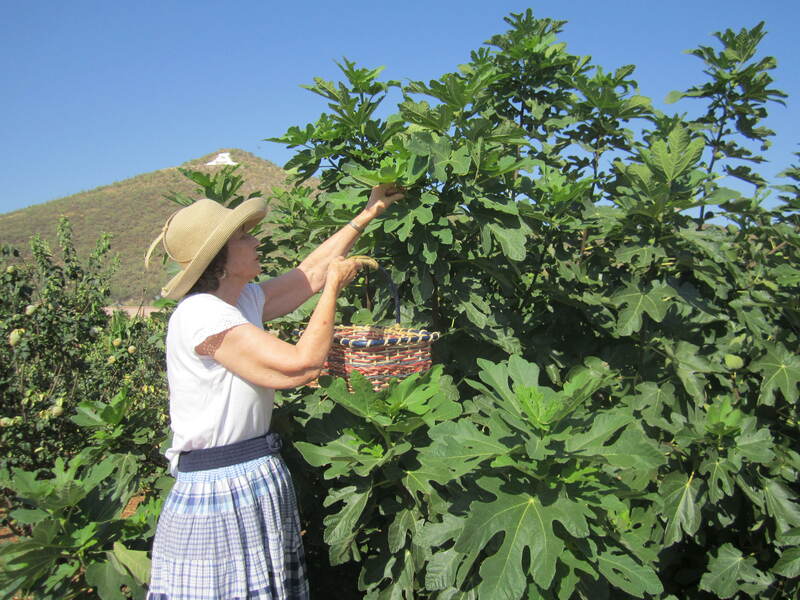 Native-foods cook and author Carolyn Niethammer picking heirloom figs at the Mission Garden for the Farm to Table Feast for her gone-to-heaven fig-bar postre. 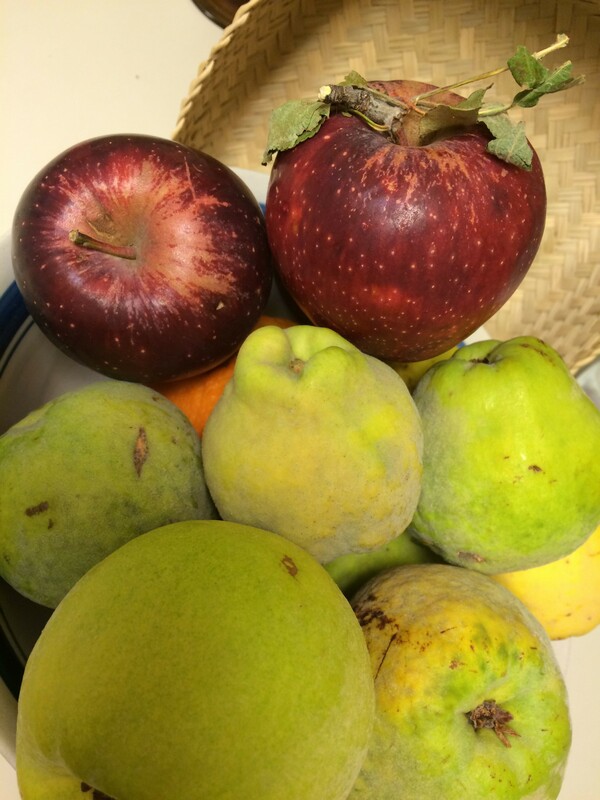 At the base of our landmark A-Mountain–the very birthplace of Schuuck-shon–set in a scene of verdant orchard trees heavy with fruit, and heirloom vegetables bearing their colorful autumn harvest, we feasted this past Sunday, October 18, on the tried and true fruits of our desert land. 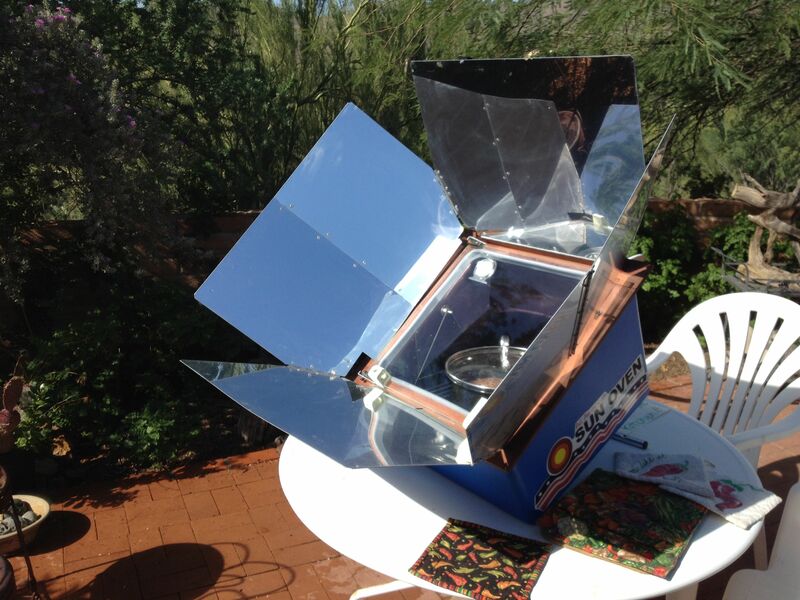 The community registered for this edible fundraiser via the two hosts of the Farm-to-Table Picnic Feast–our Tucson-born-and-bred organizations– Friends of Tucson’s Birthplace and NativeSeeds/SEARCH. 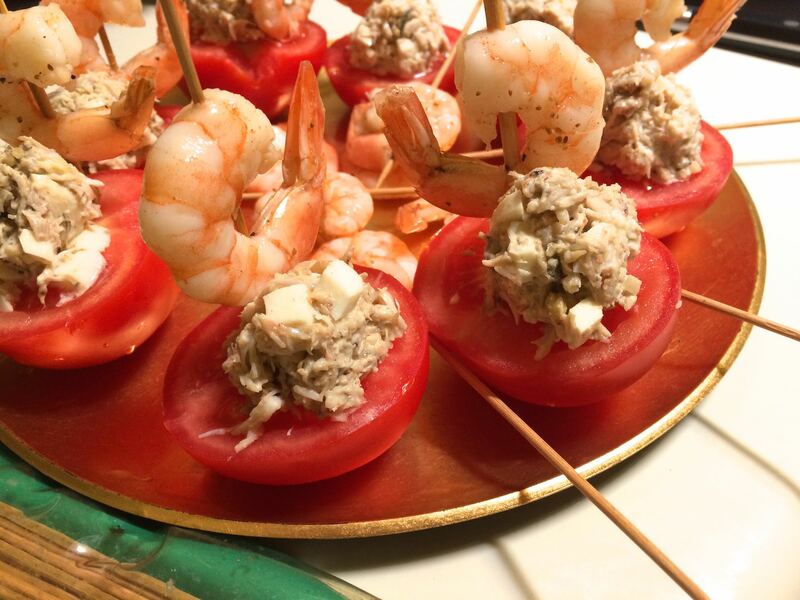 The cost of $75 covered a magnificent repast–not just a dainty little taste of hors d’oeuvres but a sumptuous serving of at least 7 gourmet entrees, plus a variety of hand-made desserts and some locally fermented beverages! Either website can guide you to ways of supporting or volunteering for these worthy outfits–http://www.tucsonsbirthplace.org or http://www.nativeseeds.org. At our special outdoor feast, we learned and appreciated where every single bite comes from! 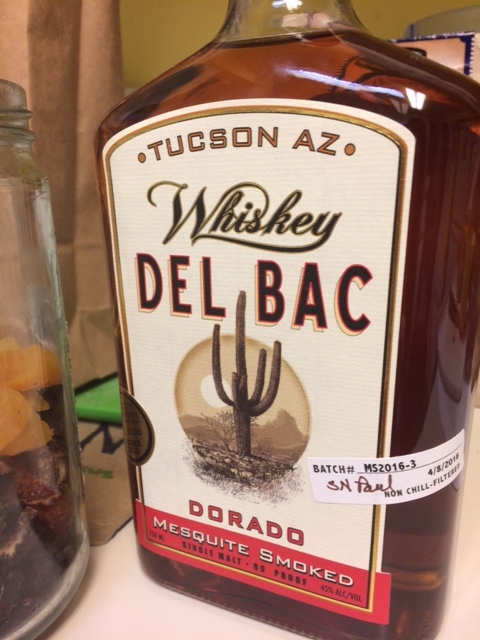 Every ingredient was LOCAL–grown on our own Baja Arizona soil, bathed by our own Arizona sun, watered by our own Pleistocene aquifer, tended by our own neighbors’ hands not to mention those of Mission Garden and NSS volunteers and staff. 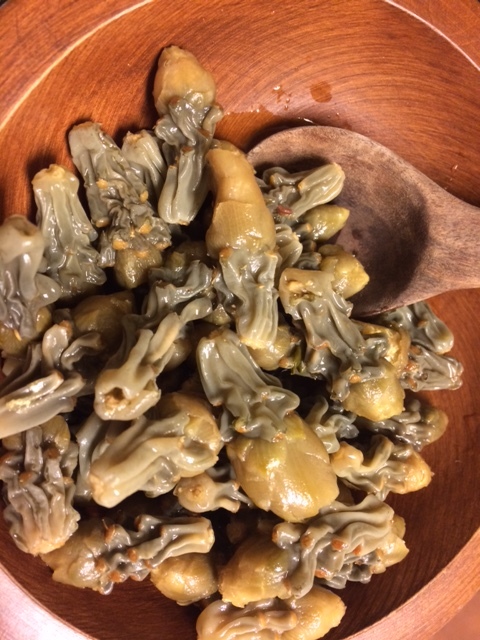 To recognize them from the source….the beautiful Native Tohono O’odham Ha:l squashes, grown at the NativeSeeds/SEARCH Conservation Farm, in combo with I’itoi’s Onions and other heirloom veggies, morphed into betacarotene-rich chile with Loew’s Ventana Canyon‘s Chef Ken Harvey’s magic. Mission Garden’s heirloom pumpkins and greens transformed by Chef Doug Levy at Feast Tucson to a superb salad-supreme. 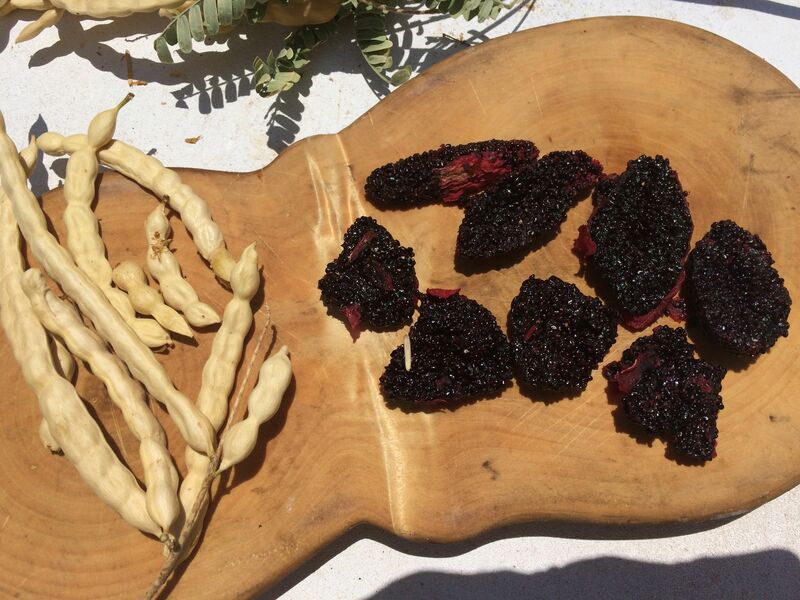 Akimel O’odham pearly black teparies from Pima farmer Ramona Button‘s fields and locally-harvested cholla buds transformed with culinary sorcery by Chef Janos Wilder’s Downtown Kitchen into the most gourmet vegetarian delight. Padre Kino’s White Sonora Wheat from BKWFarms‘ organic fields became the most flavorful and delicately marinated wheat-berry salad by the hand of Chef Rebecca Ramey at Blue Willow Restaurant. And speaking of transformation, BKWFarms’ organic white Sonora wheat, with the magic of friendly microbes at Dragoon Brewery, became a festive brew with an amazing back-story to delight all samplers. Farmer Frank’s Crooked Sky Farms‘ GMO-free fresh corn expressed itself in a fresh-from-the garden casserole by Proper’s Chef Kris Vrolijk. Tohono O’odham traditional melon with other fresh corn and tomato, evolved into a gourmet gazpacho created by the Chef at Desert Diamond Casino, our major event sponsor. Tia Marta here thanking ALL who came to the Table–the Farm-to-Table outdoor Picnic Feast at Mission Garden–to enjoy this enriching experience of Tucson’s traditional foods, cultivated with love in our own “desert terroir.”* THANKS TO ALL our local–yet world-famous–culinary talent who prepared these sacred foods with care and dedication! THANKS ALSO to the supporters and volunteers who made this event such a success! Was it a sign of its significance at that moving moment culminating the feast when the heavens blessed us with a glorious sunset? 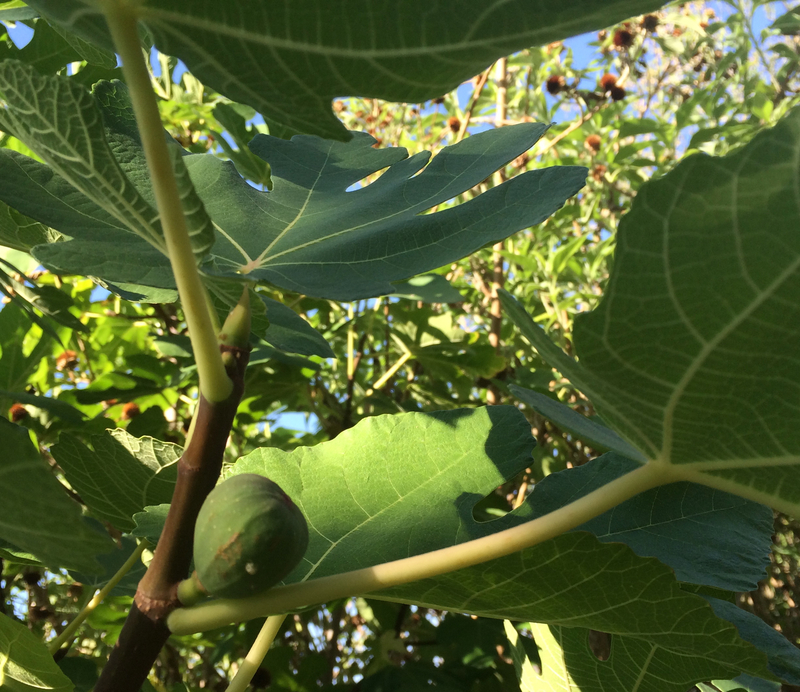 The public is invited to visit the ever-changing setting of this feast–the very garden and orchard where many of the heirloom foods are still hanging on fruit-tree boughs or ripening on the vine. 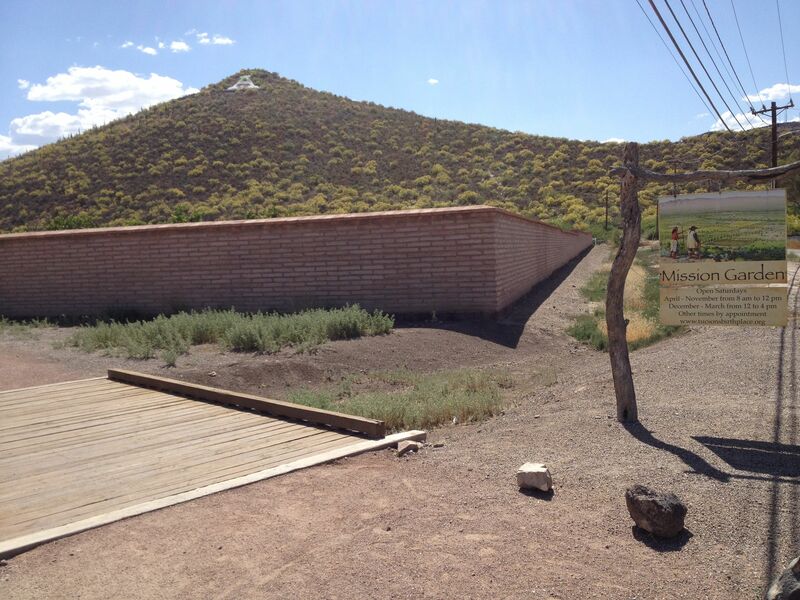 The Mission Garden is open for tours every Saturday with knowledgeable guides to take you through this special desert oasis–a living agricultural history museum. (For info see http://www.tucsonsbirthplace.org). For your own table, you too can source the heirloom foods served at the Picnic Feast, at the NativeSeeds/SEARCH Store, 3061 N Campbell, Tucson, http://www.nativeseeds.org, or at the Flor de Mayo booth (online at http://www.flordemayoarts.com) and other farm booths at Sunday’s St Philips Farmers’ Market (www.foodinroot.com). 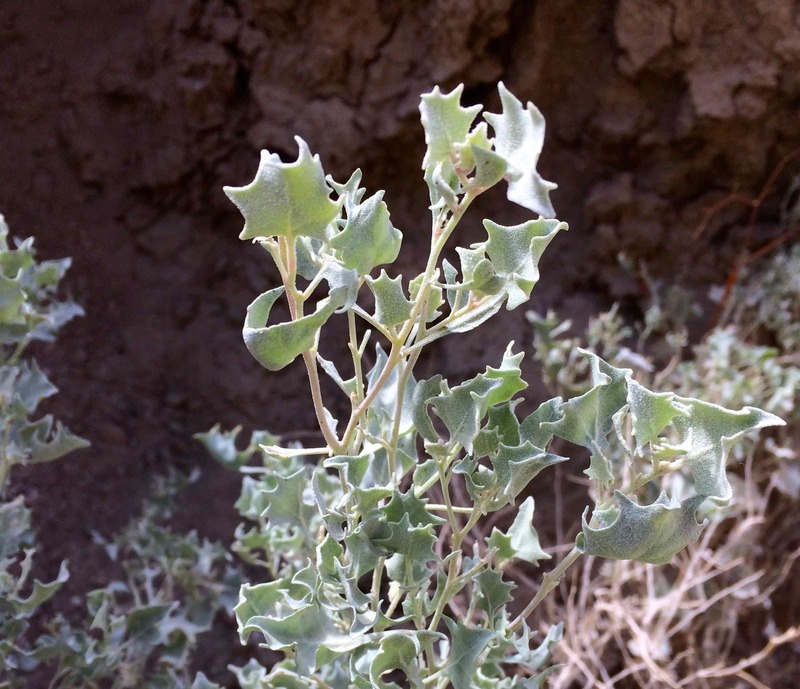 Join NativeSeeds/SEARCH as a member and stay in touch with seed-savers, gardeners, and cooks as we keep these desert-adapted foods alive and well into an unknown future. Yours truly, Tia Marta, have also honored these heirloom foods artistically by documenting them from my garden in their harvest splendor as watercolor images. I invite you to view them firsthand at two upcoming OPEN STUDIO events: ART TRAILS on Saturday, Oct 24, and the TPAC OPEN STUDIO weekend Nov.14-15 at Carolyn Leigh Studio. Search by my studio name, Flor de Mayo Studio, or by artist’s name, Martha Ames Burgess, at http://www.ArtTrails.org , and at http://www.tucsonpimaopenstudiotour.org for directions, and do come by for a visit. You can also check out some of my Southwest Native heirloom food images on my website gallery http://www.flordemayoarts.com — enjoy! *Desert Terroir, by renowned author and co-founder of NativeSeeds/SEARCH, available at the NSS store, is a great read about the deep significance of LOCAL. We can “internalize” his messages by shopping at farmers’ markets, growing our own, and honoring long-successful desert traditions, seeds, and foods.